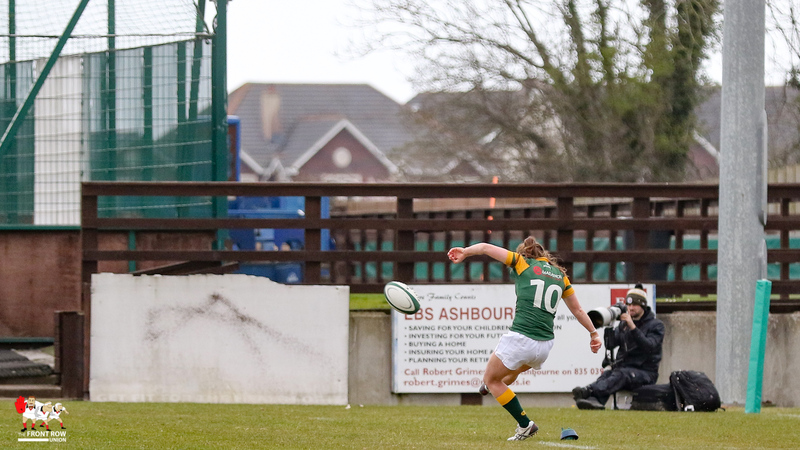 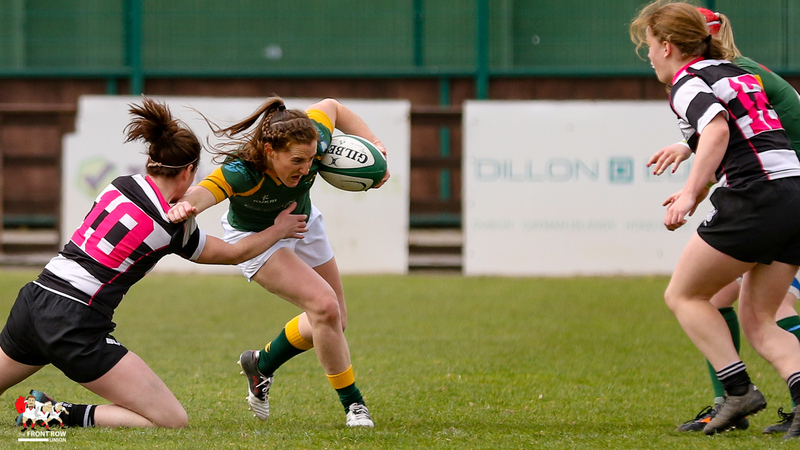 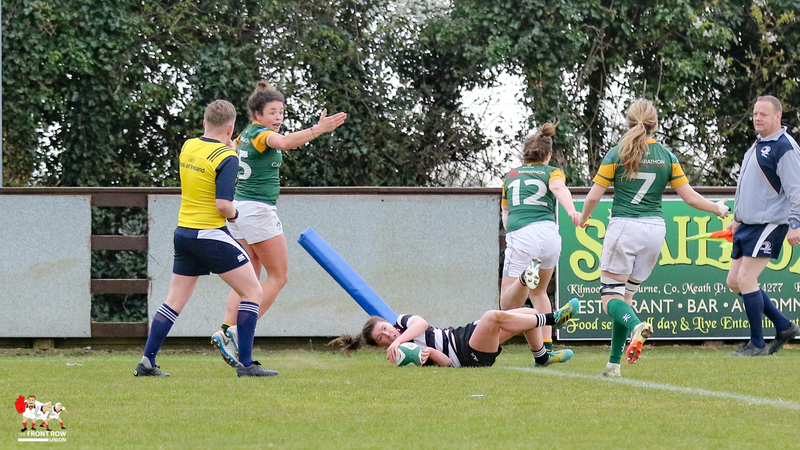 Emer O’Mahony celebrates crossing in the corner for railway's first try. 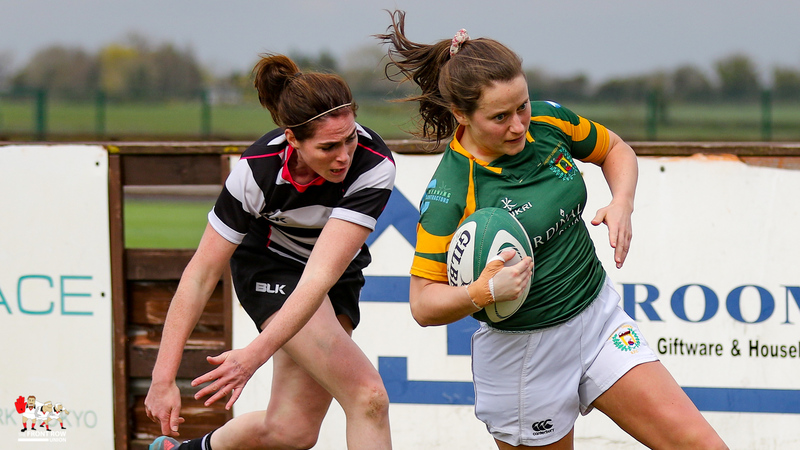 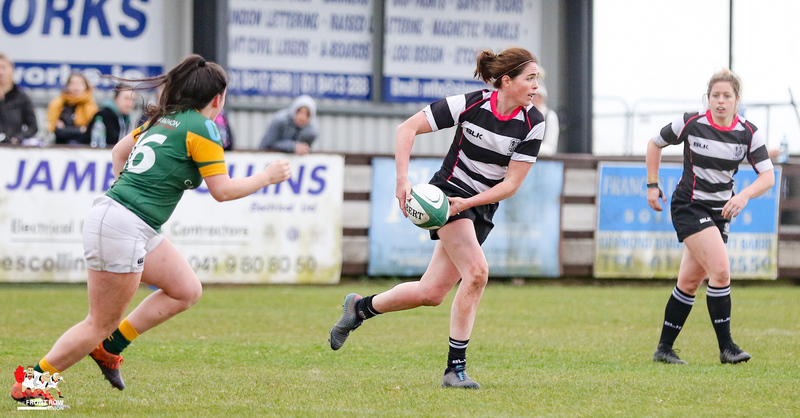 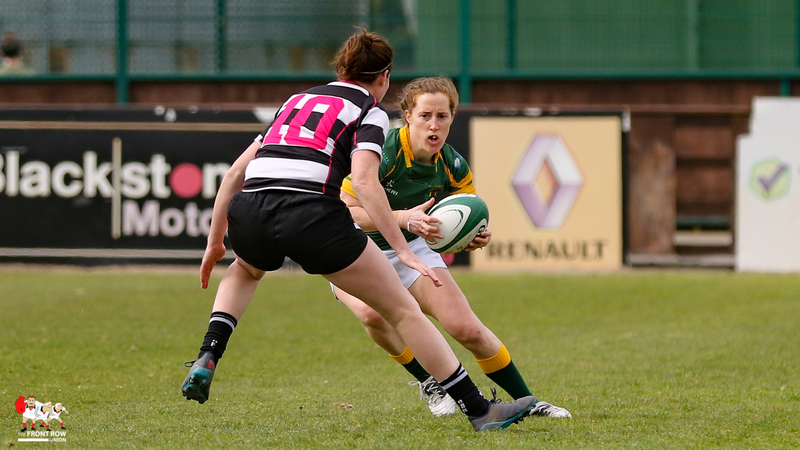 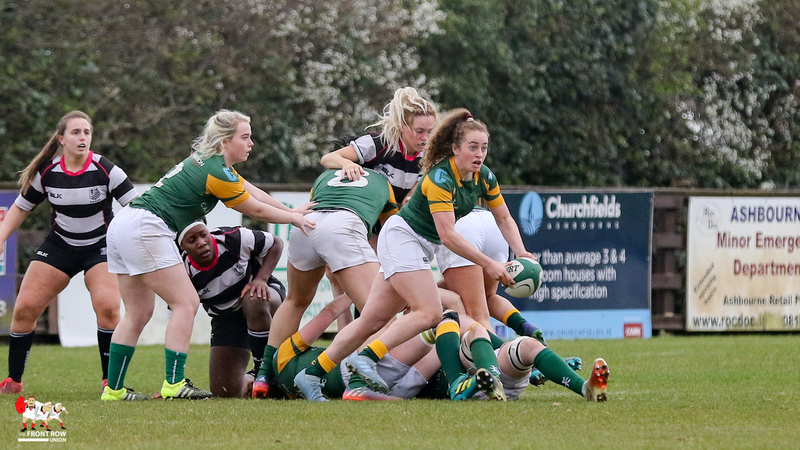 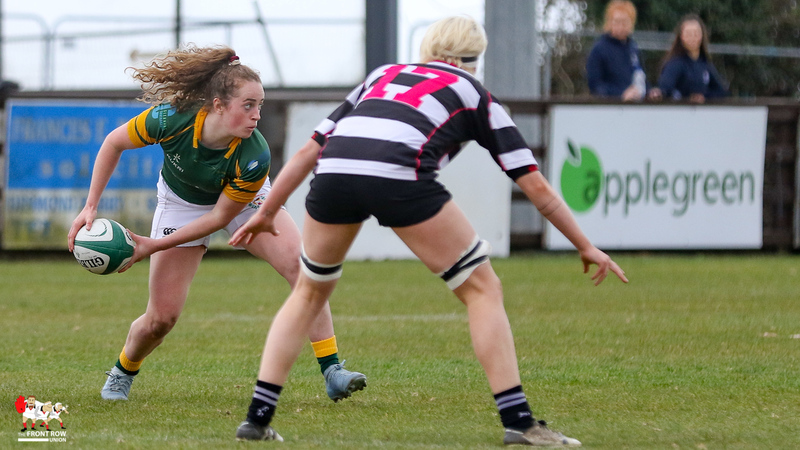 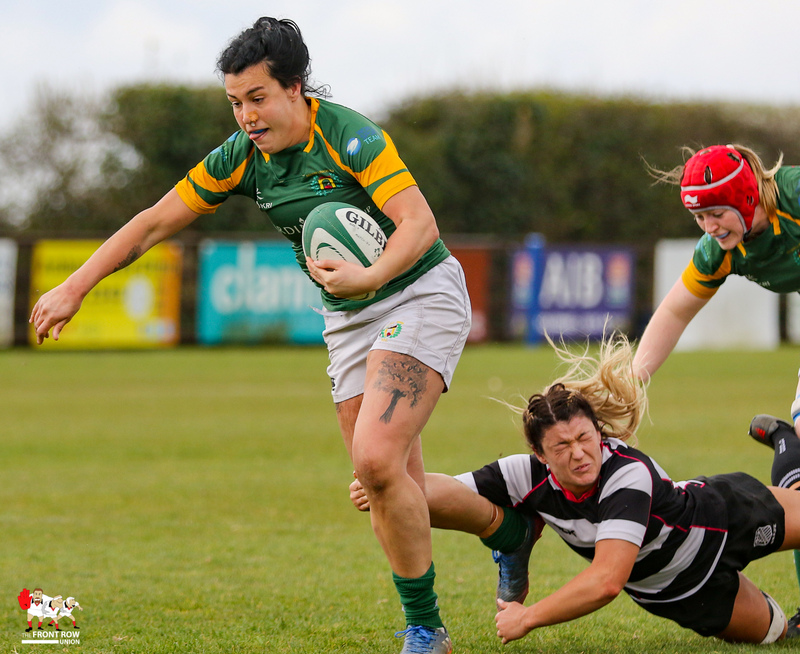 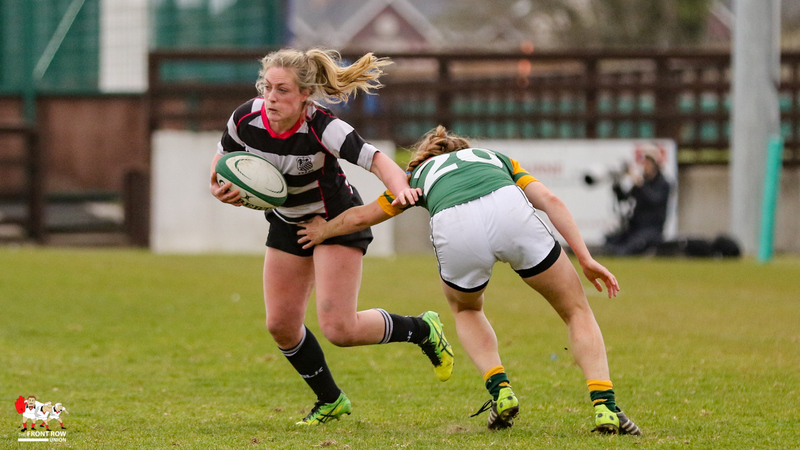 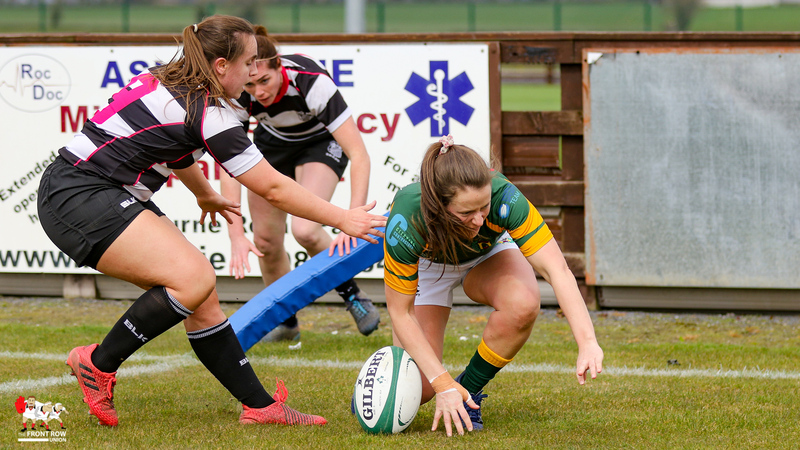 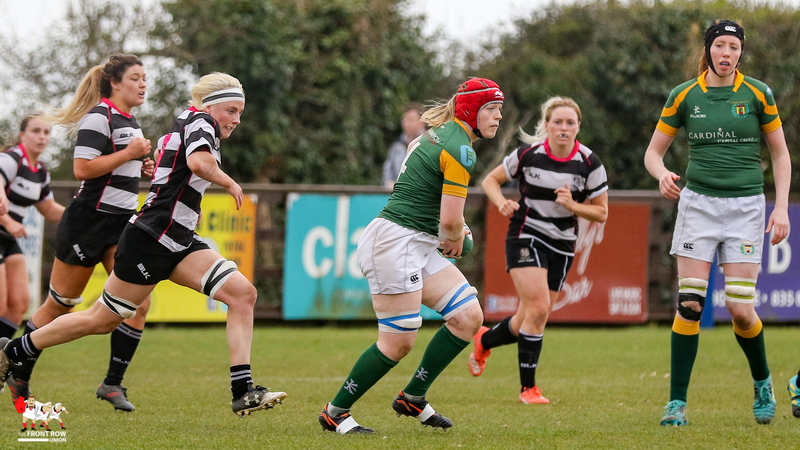 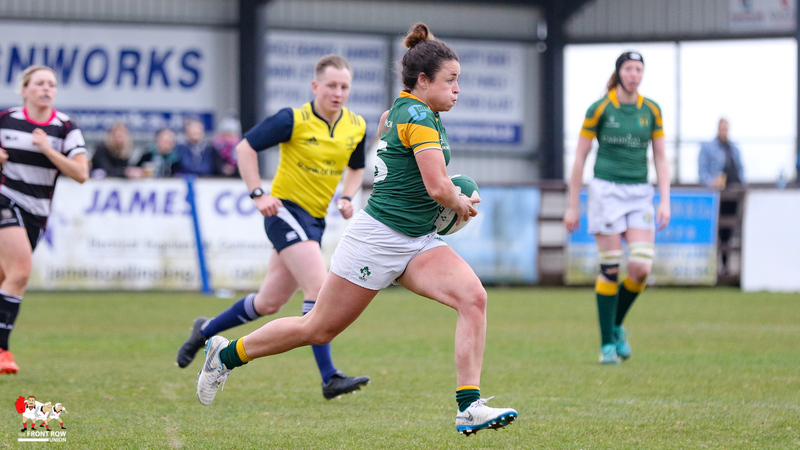 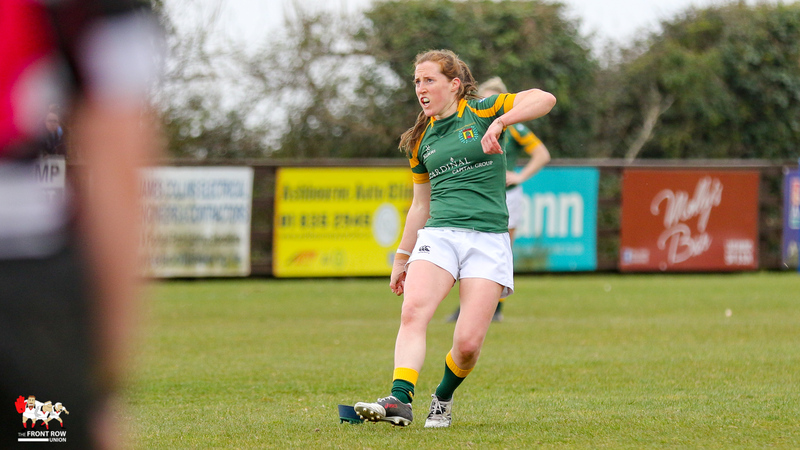 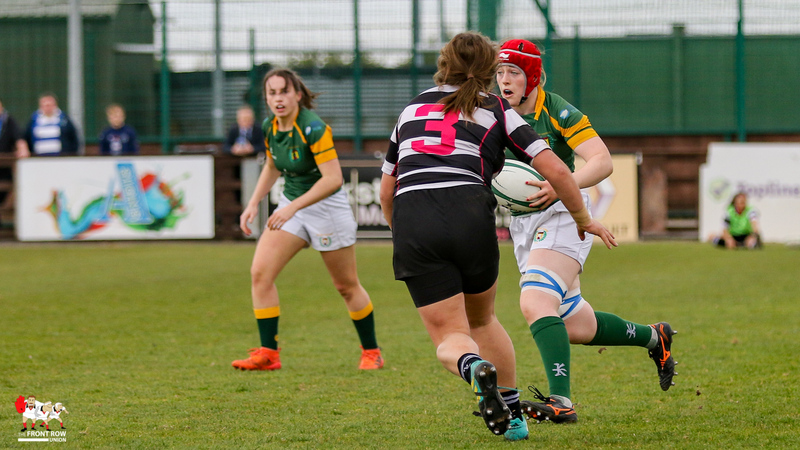 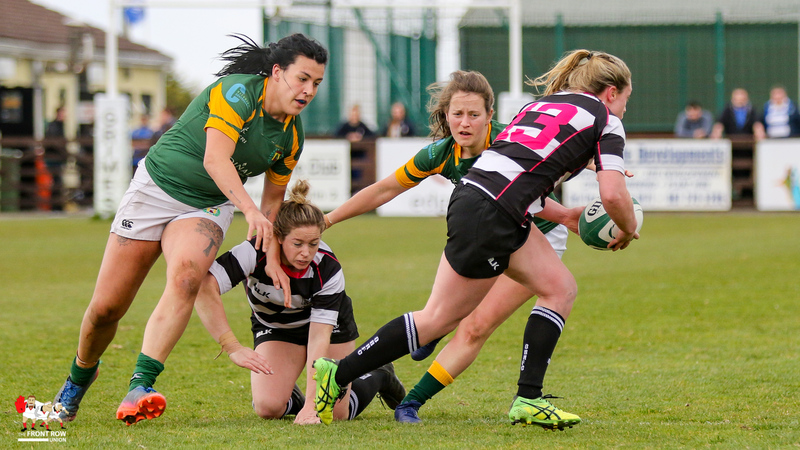 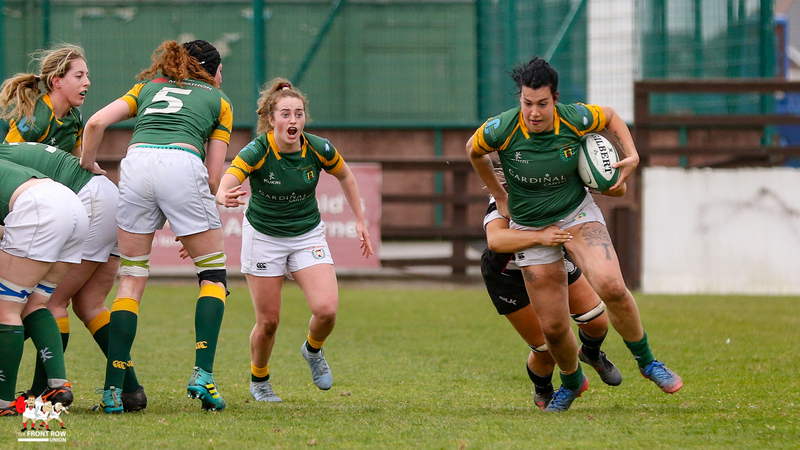 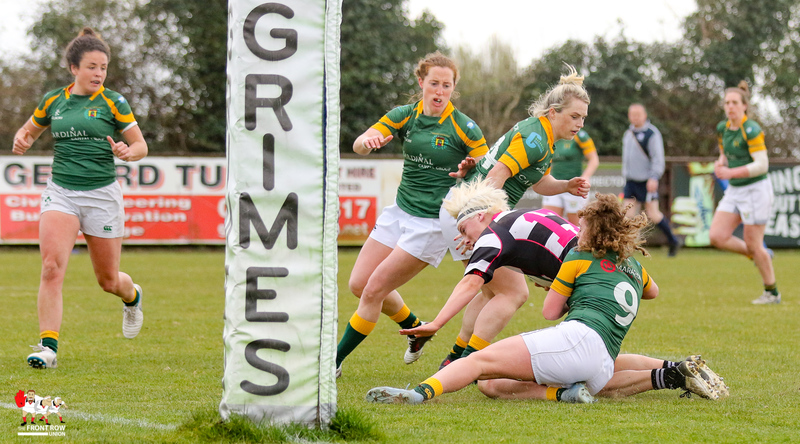 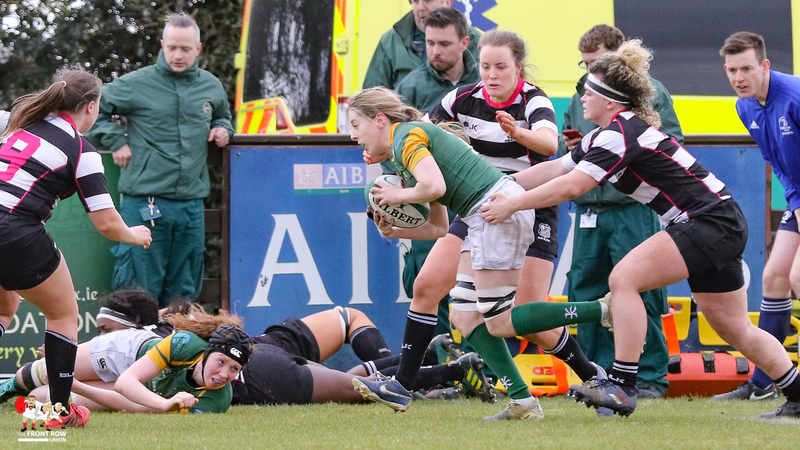 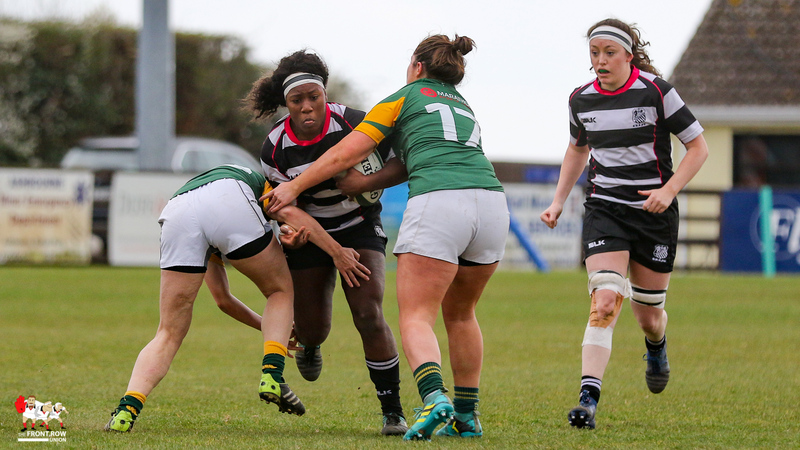 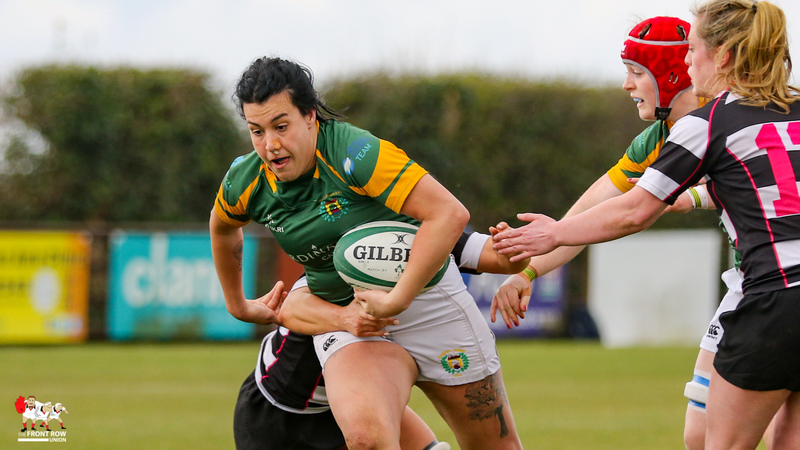 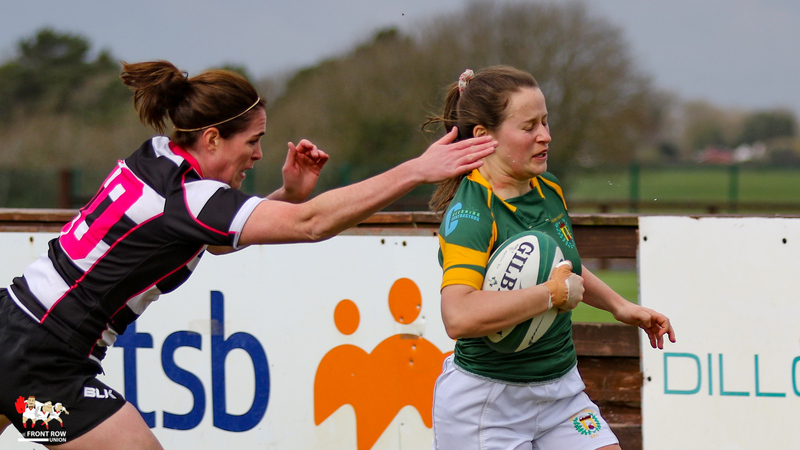 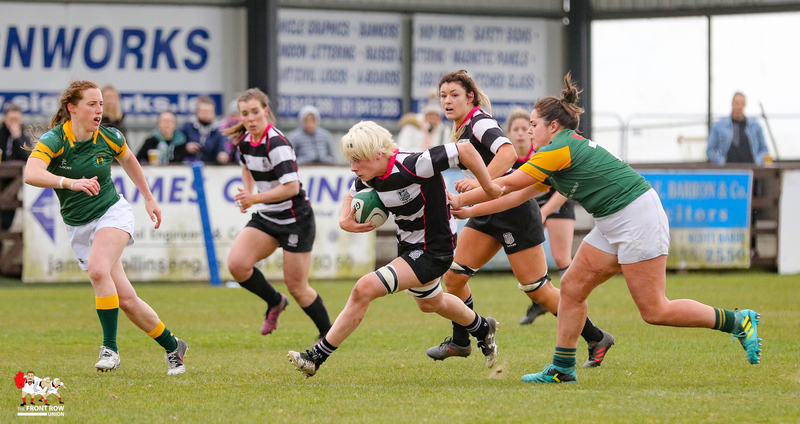 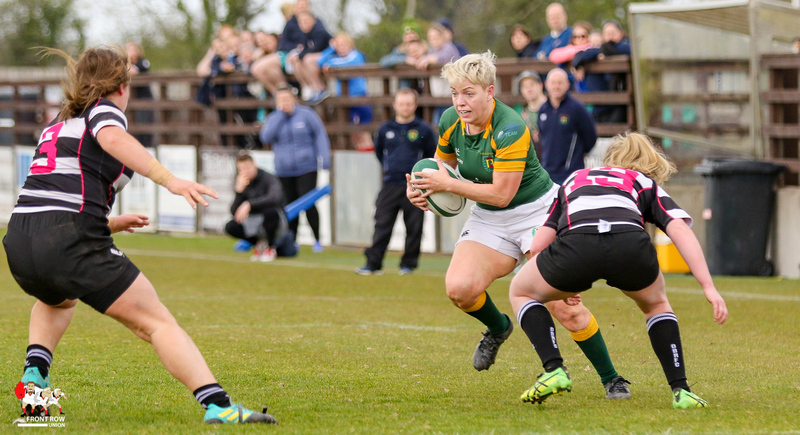 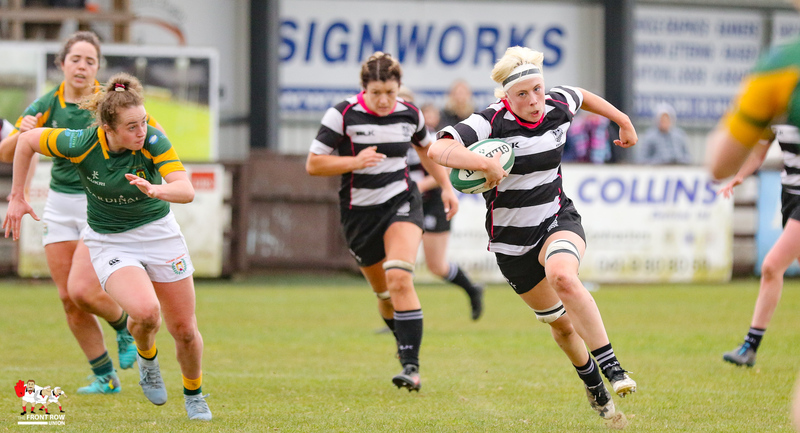 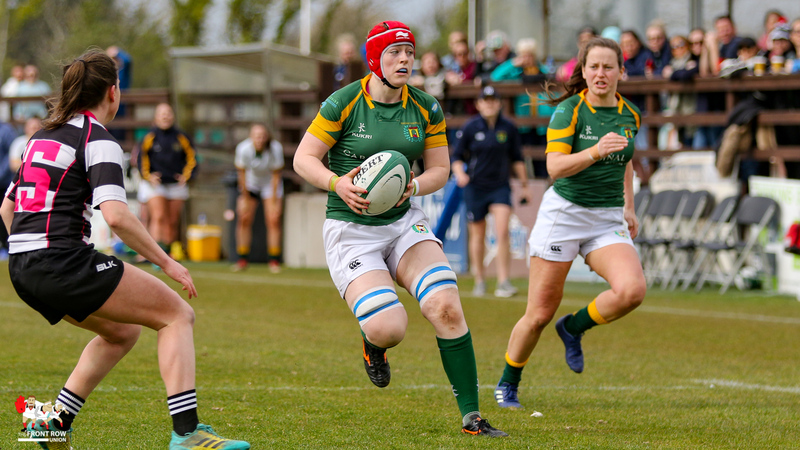 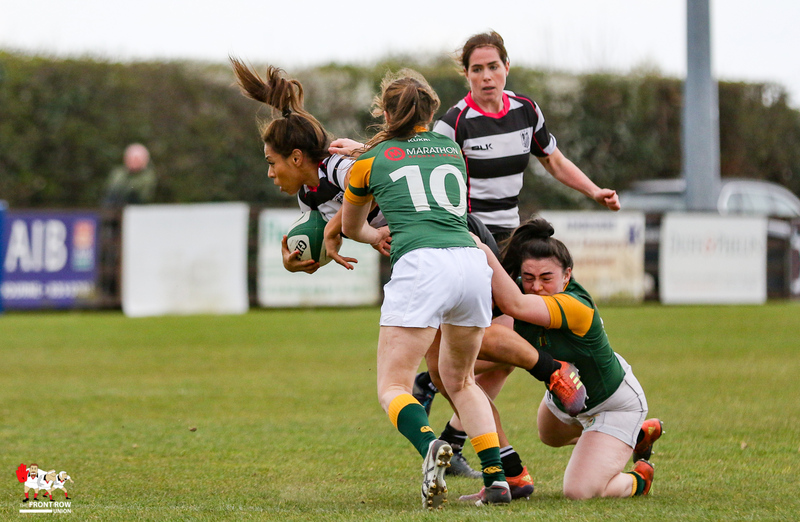 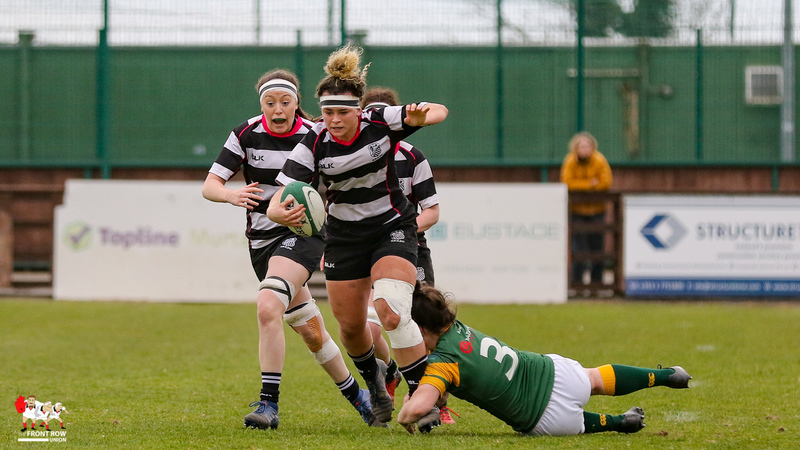 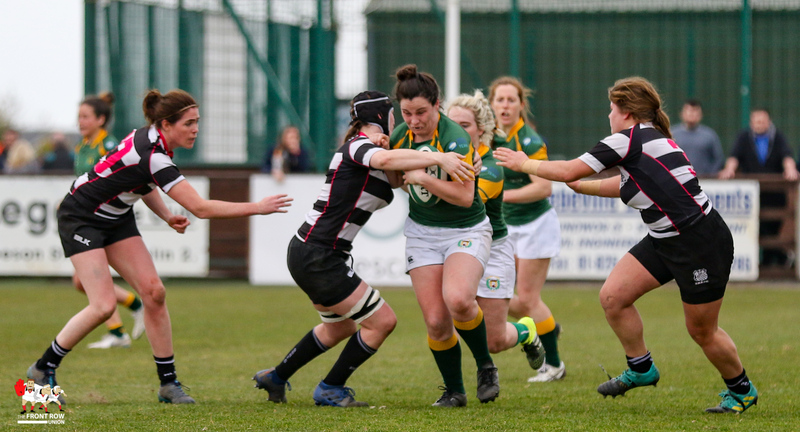 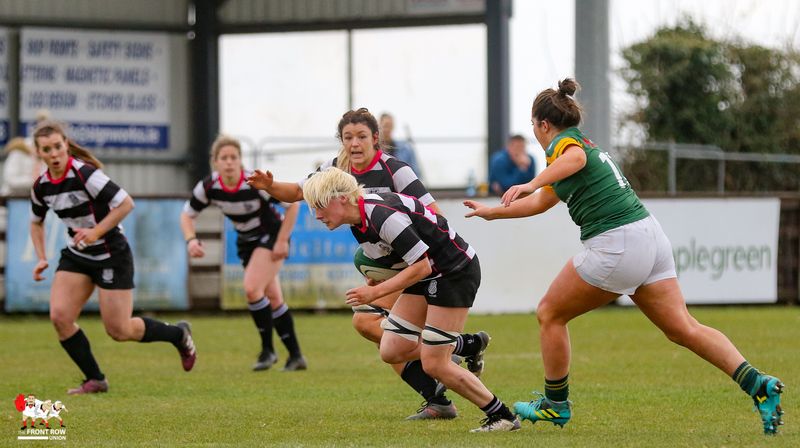 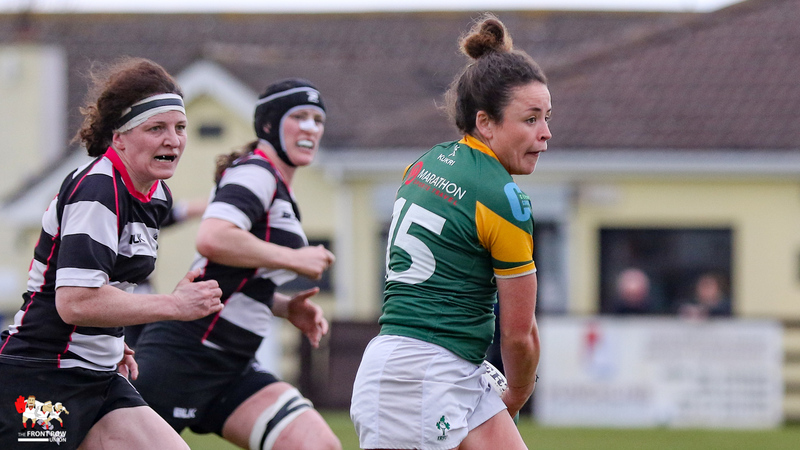 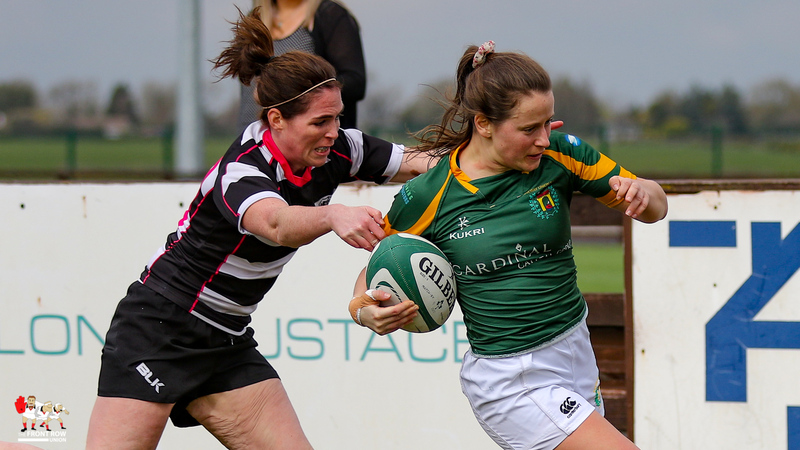 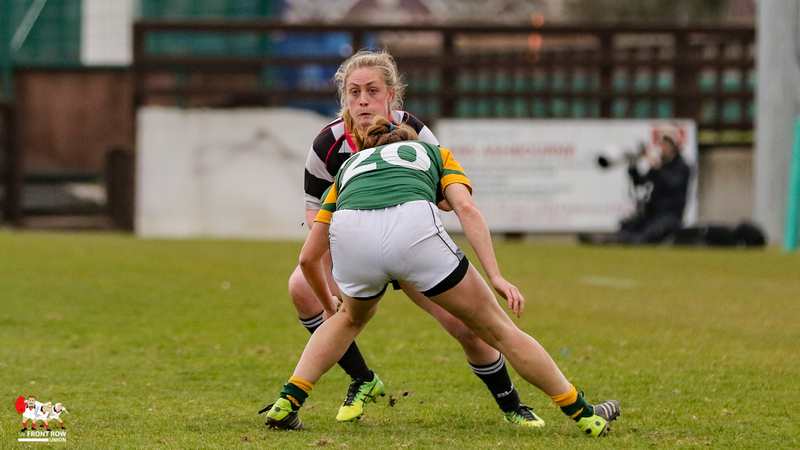 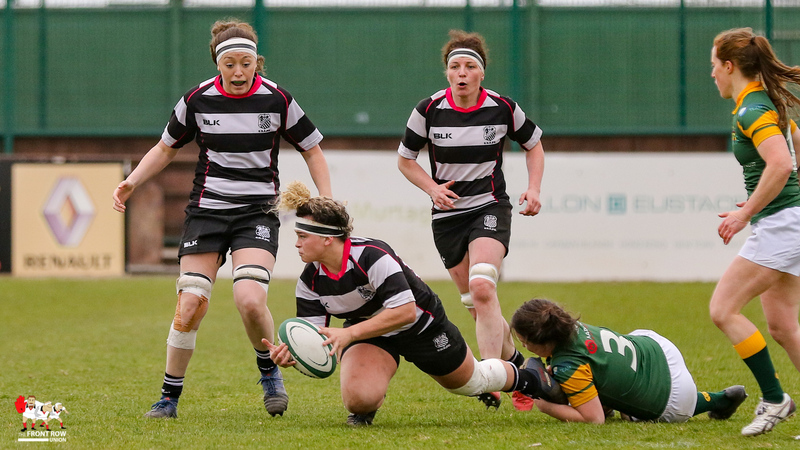 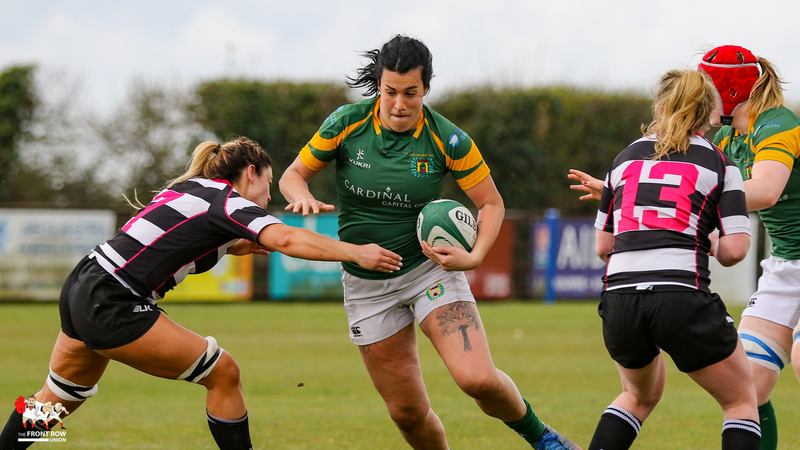 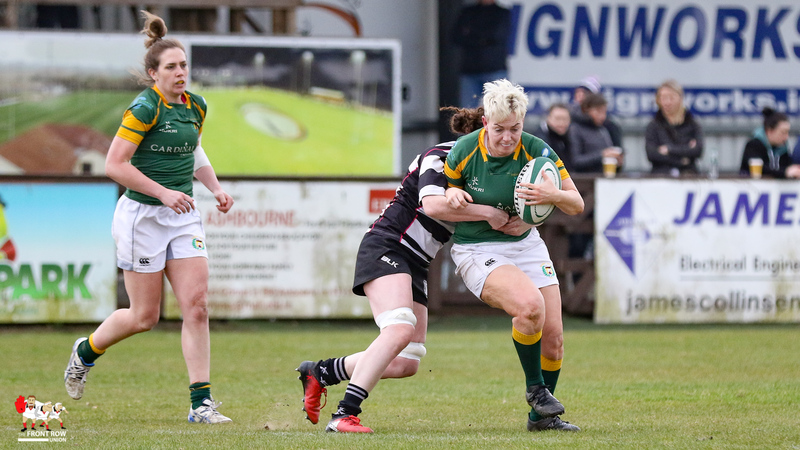 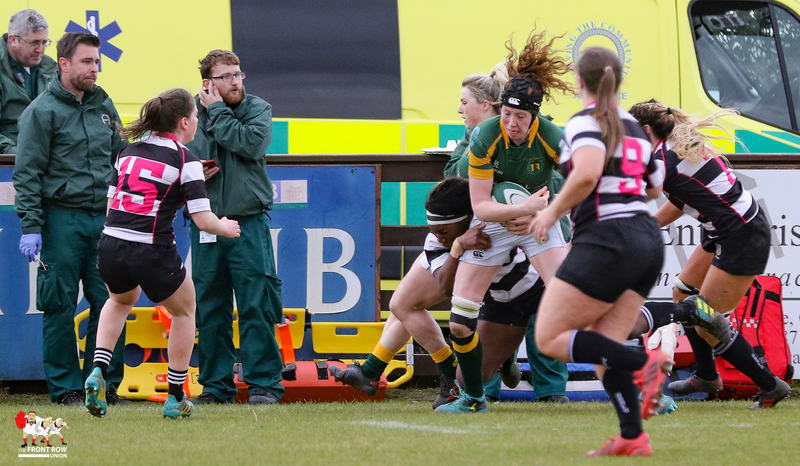 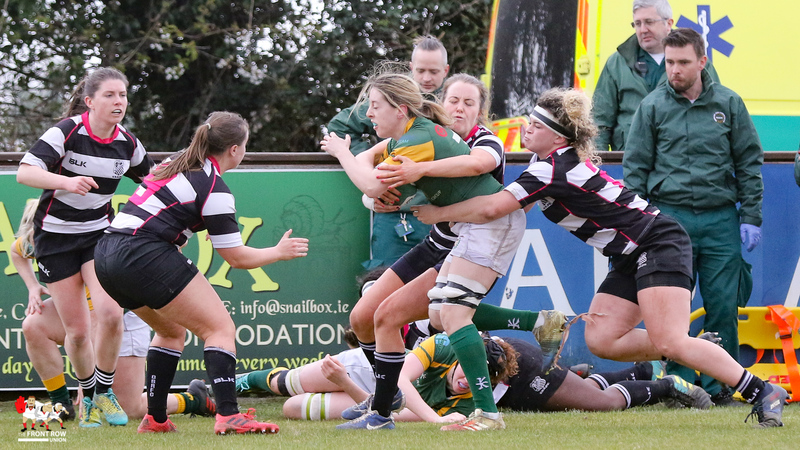 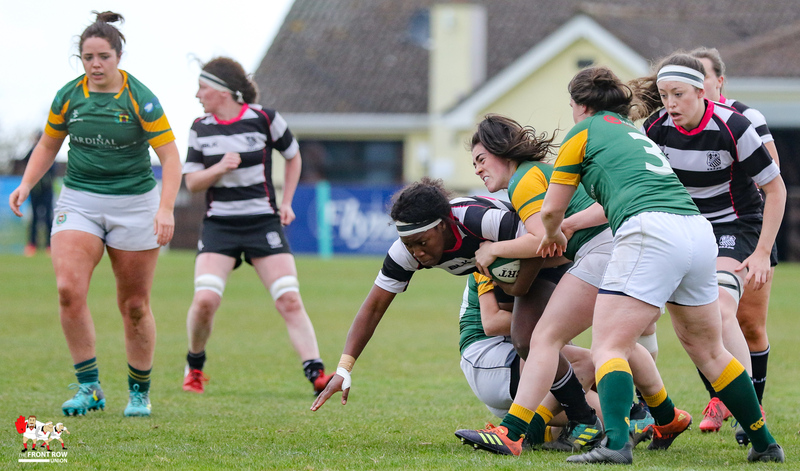 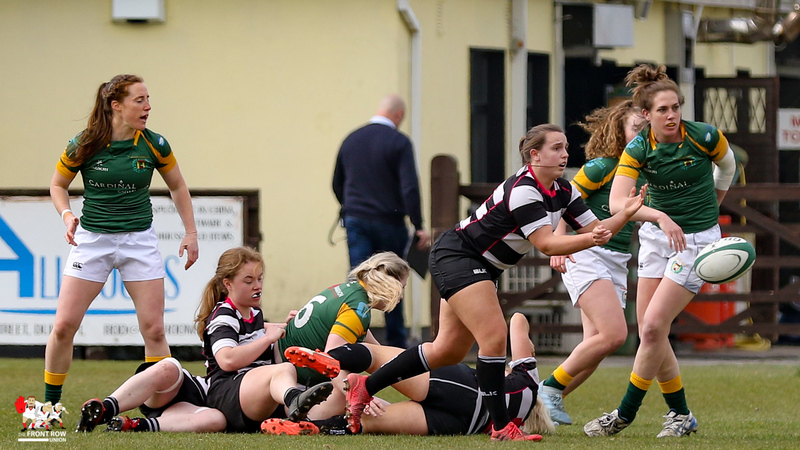 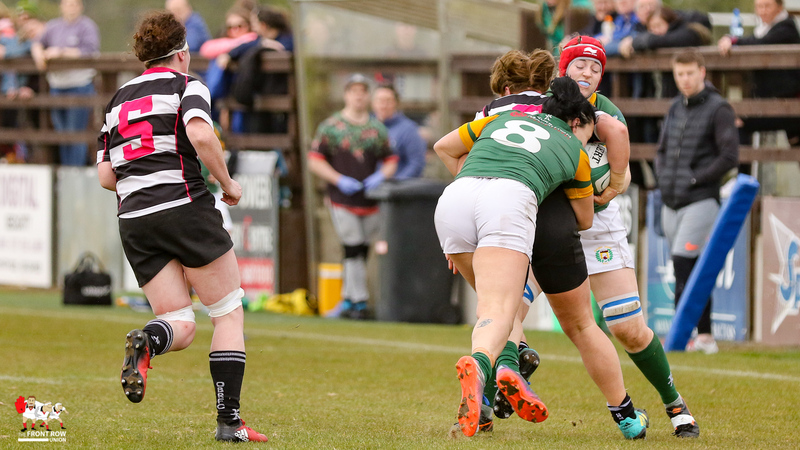 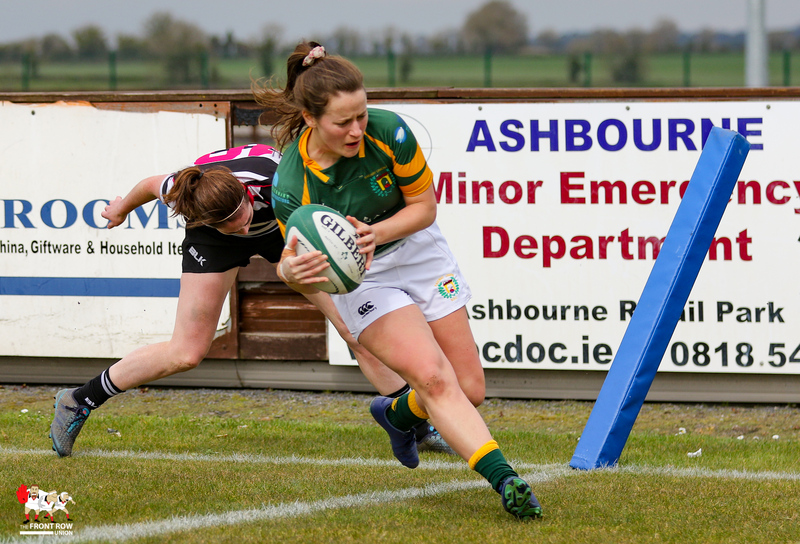 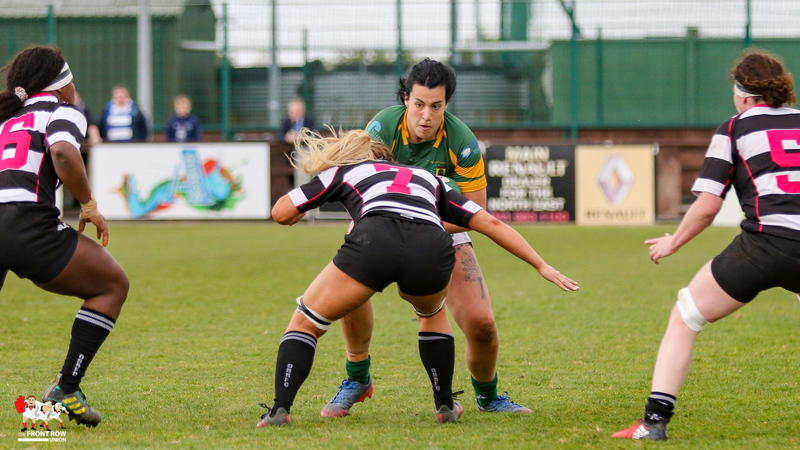 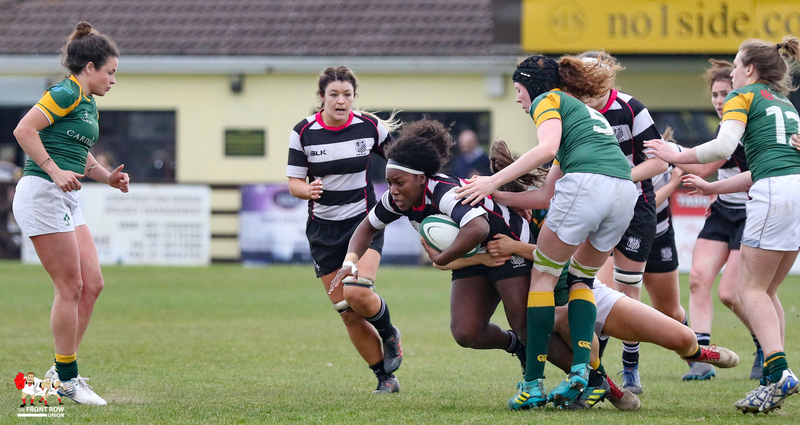 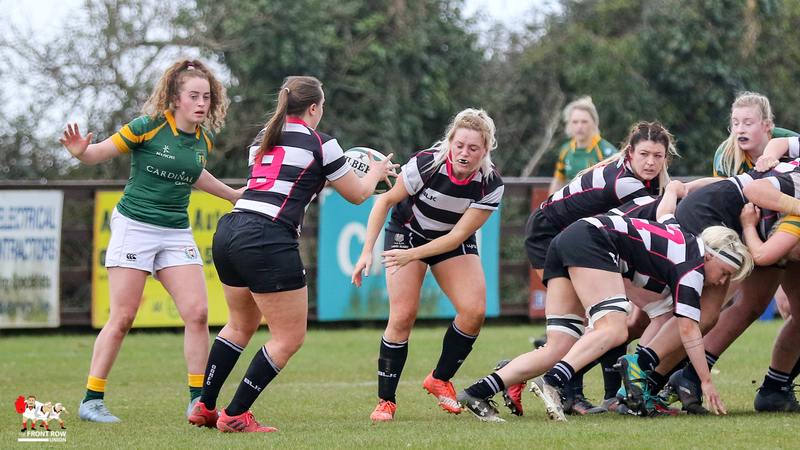 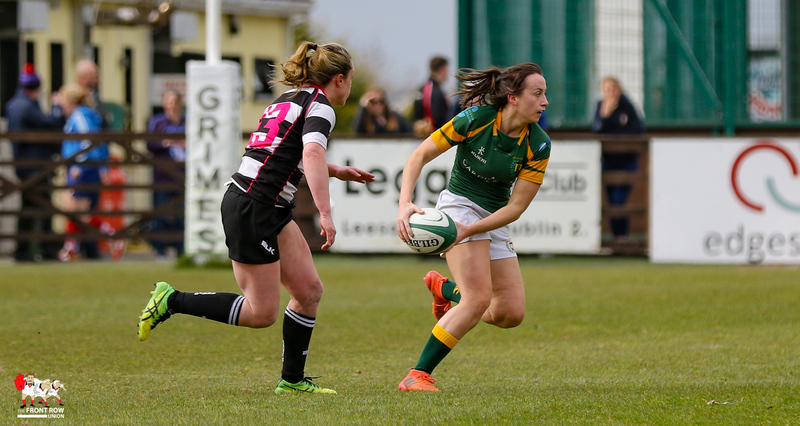 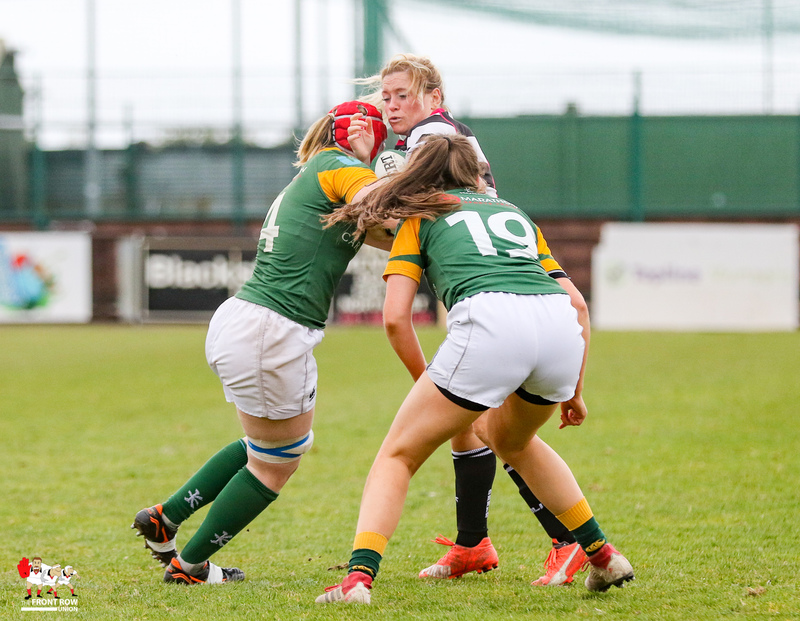 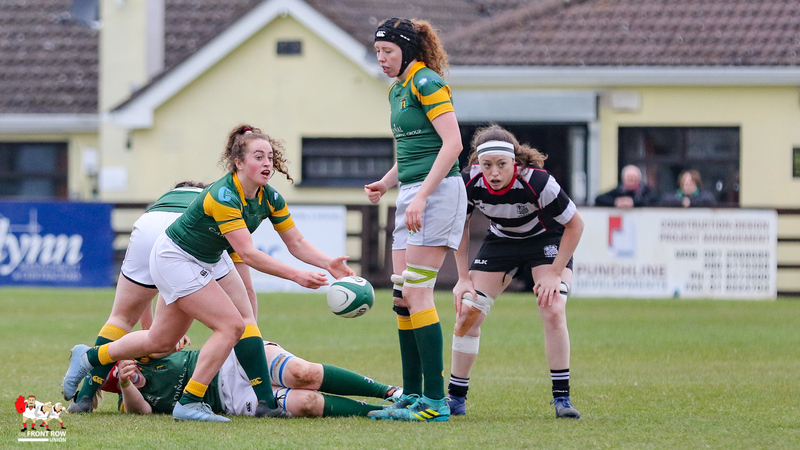 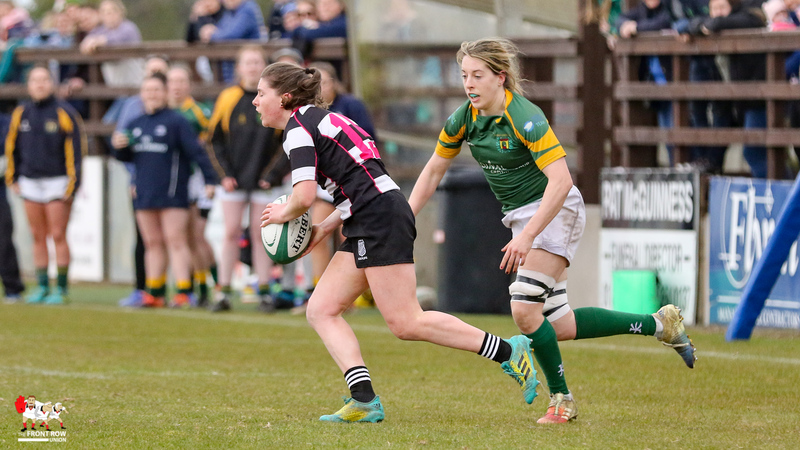 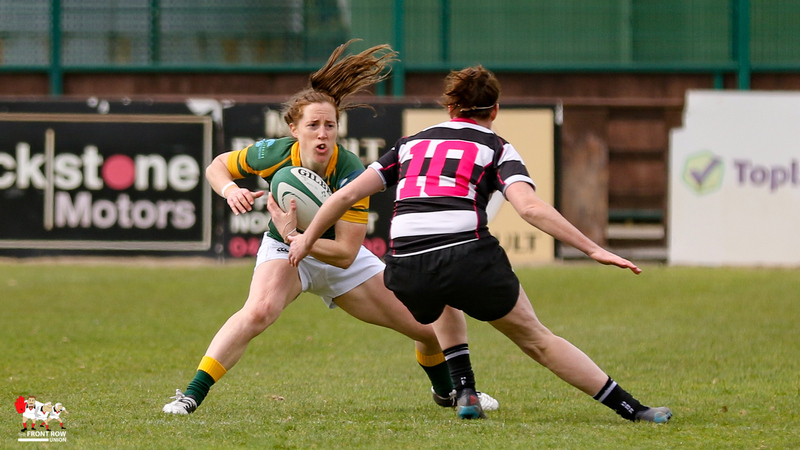 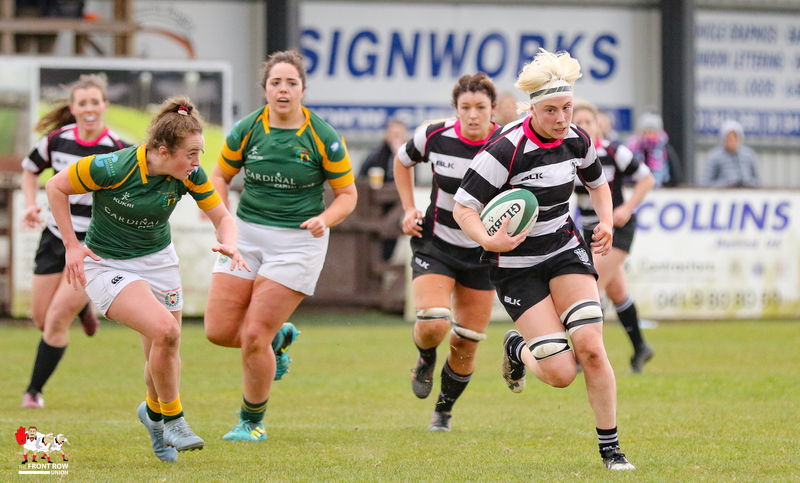 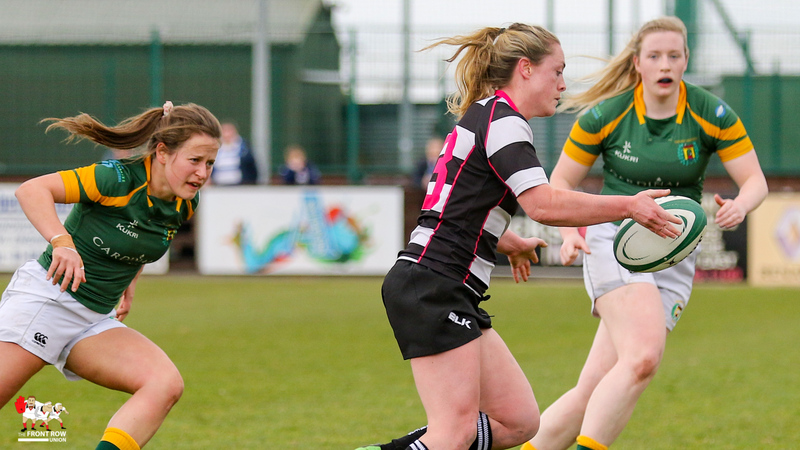 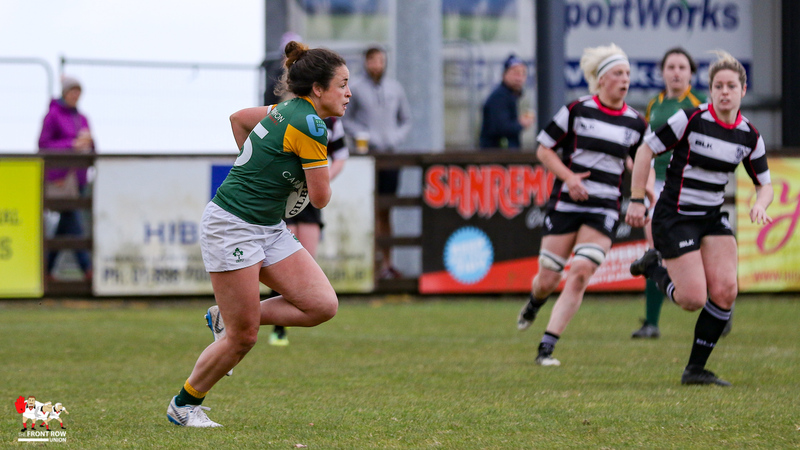 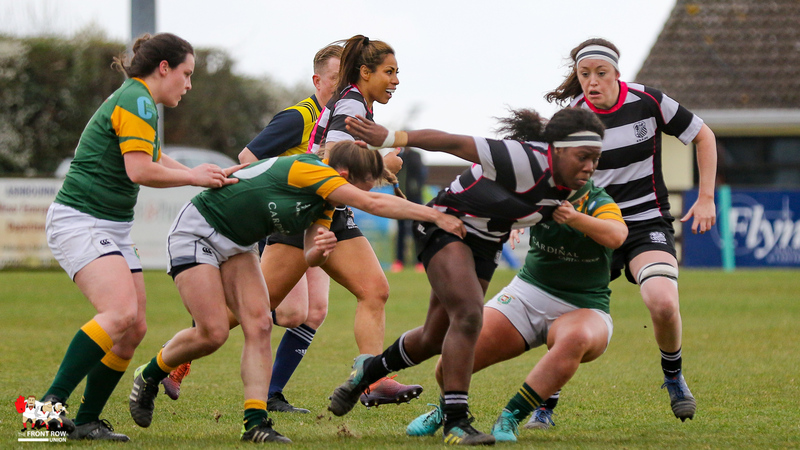 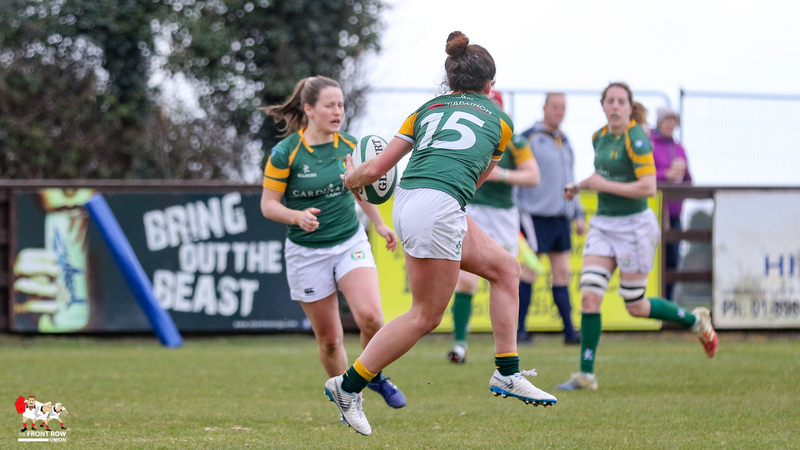 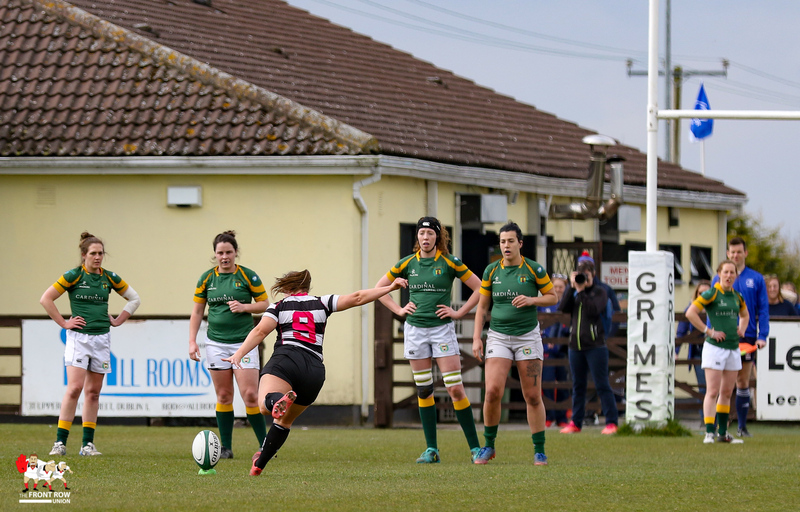 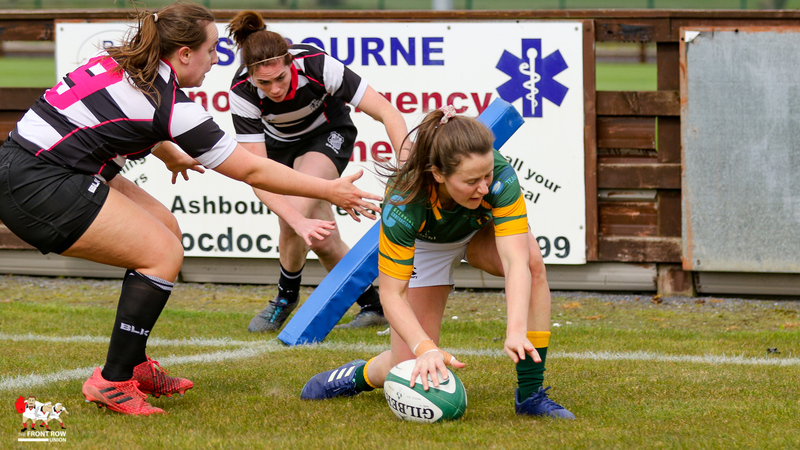 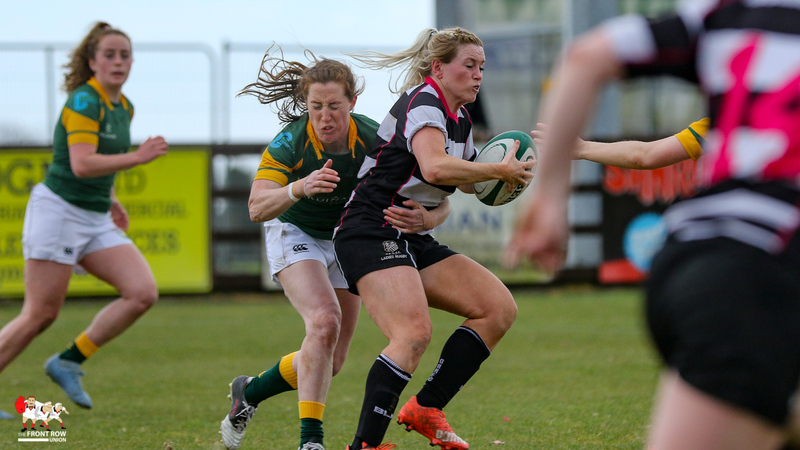 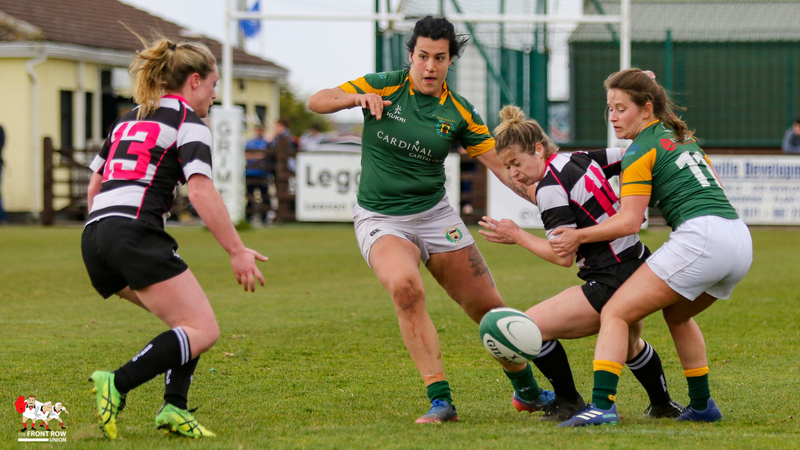 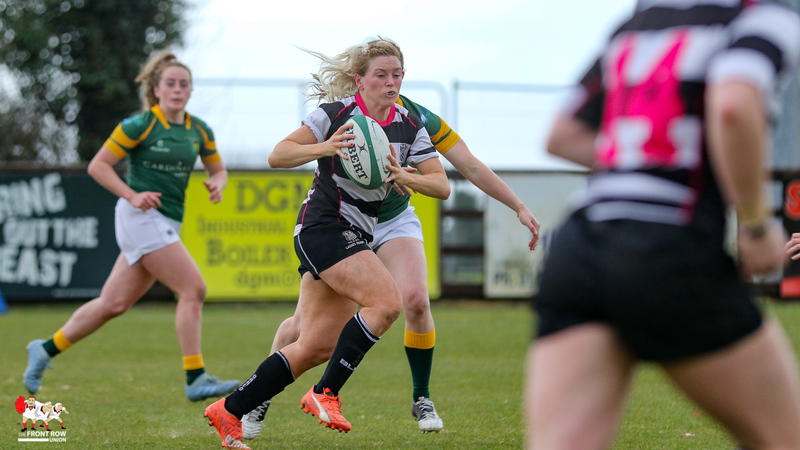 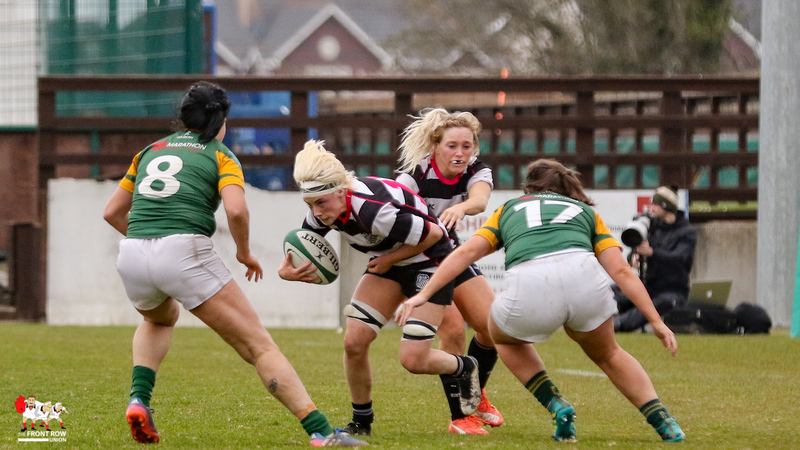 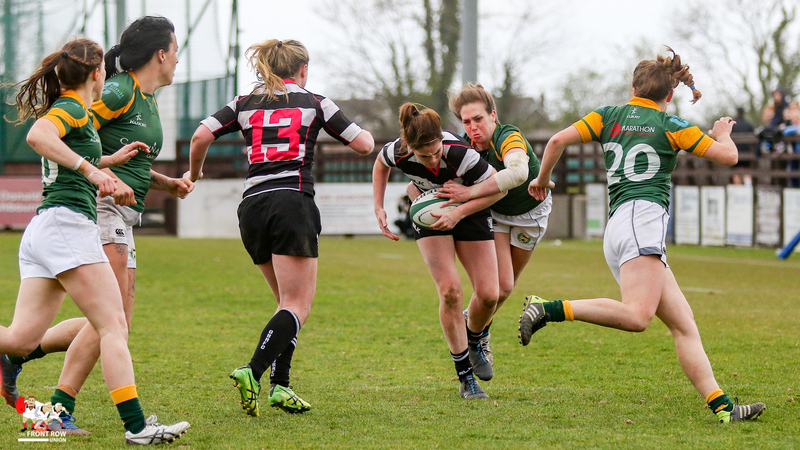 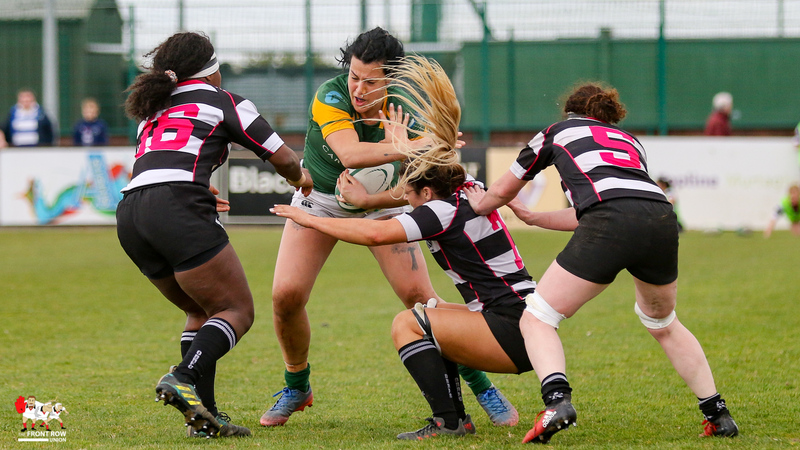 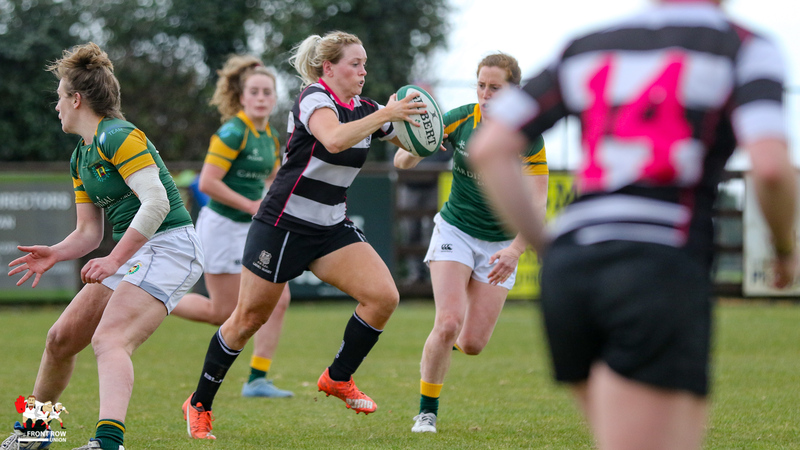 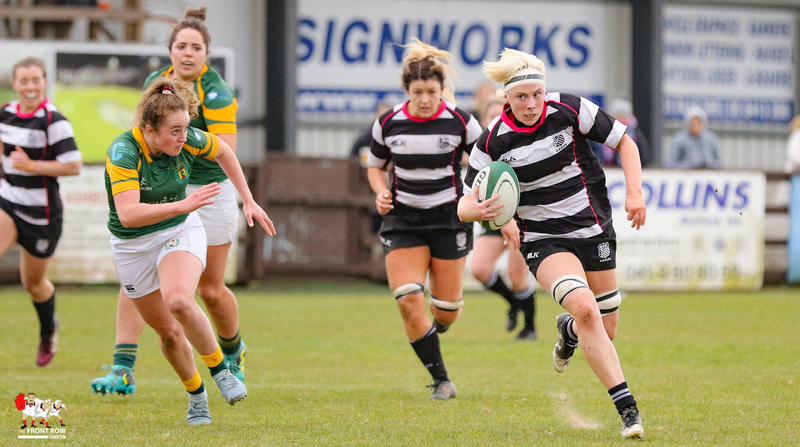 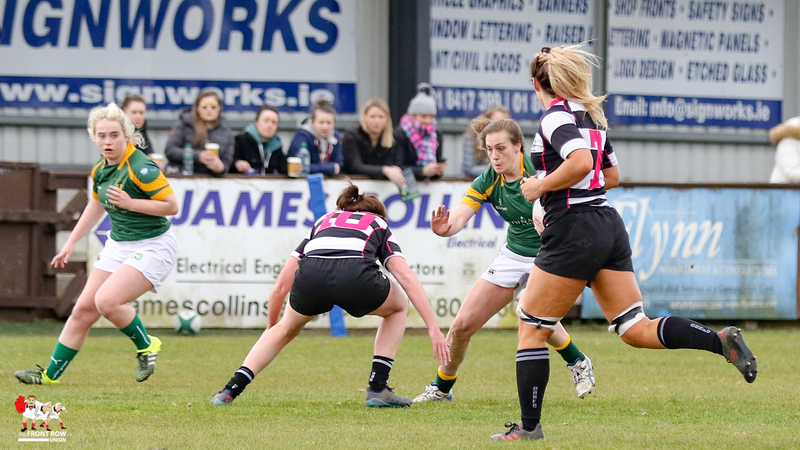 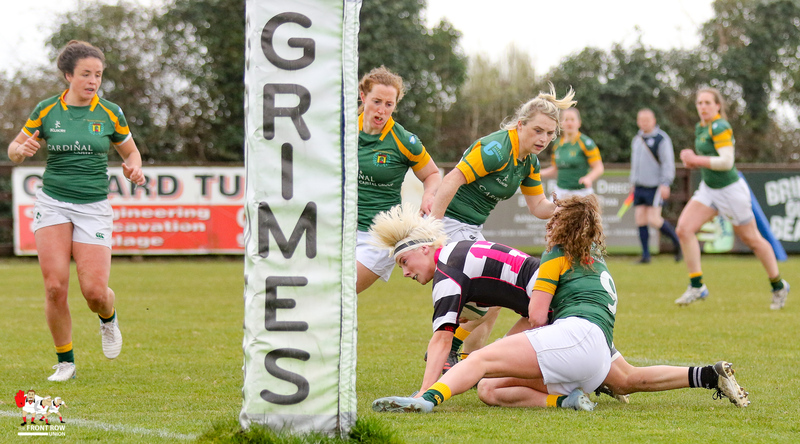 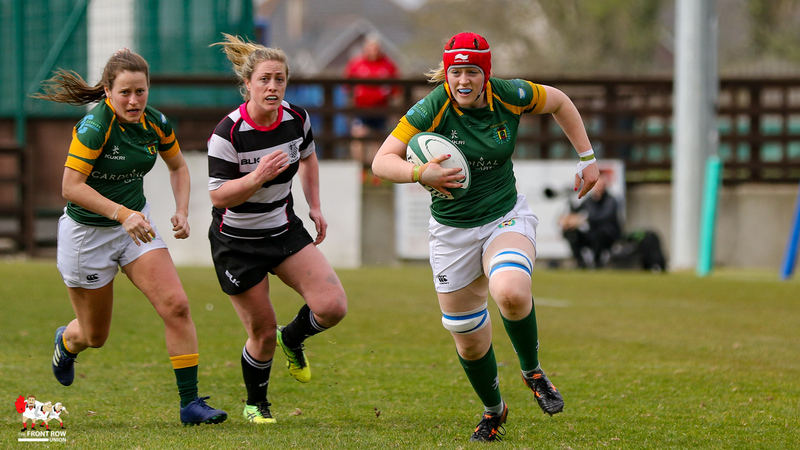 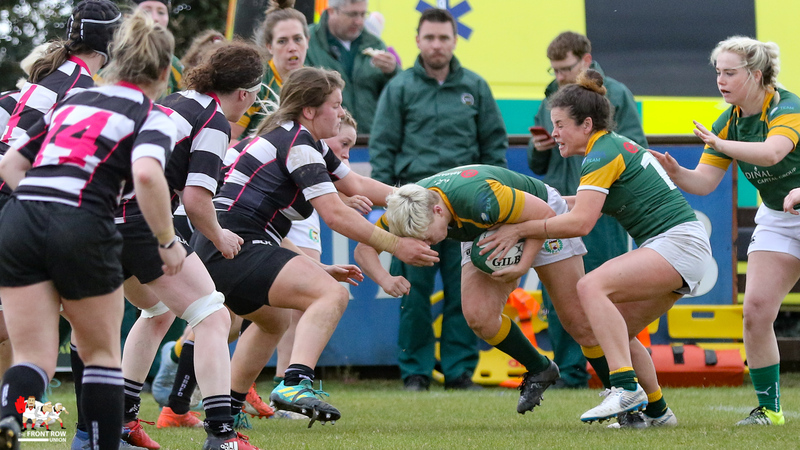 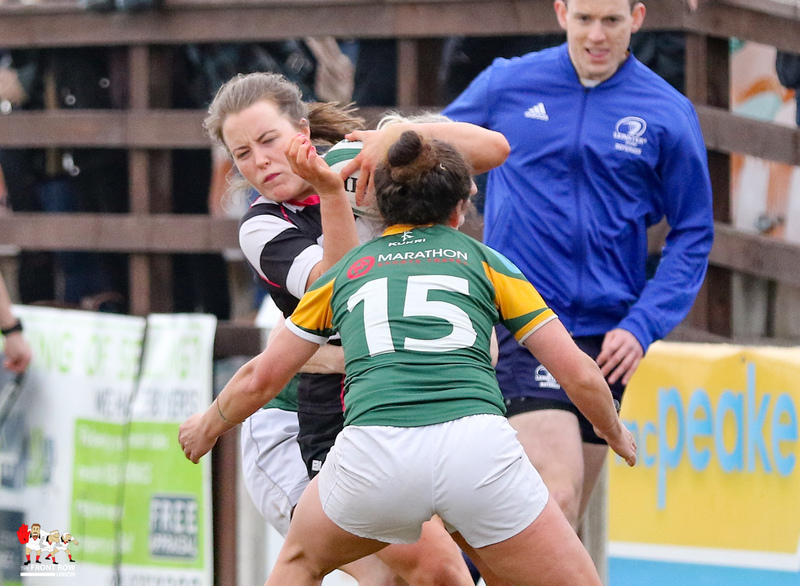 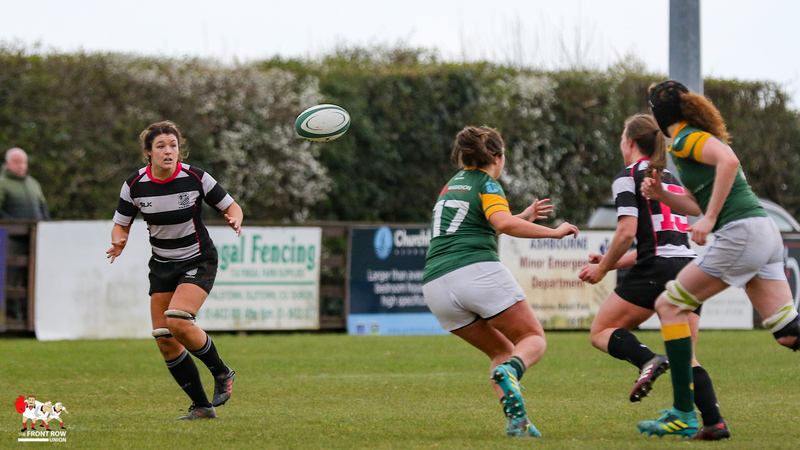 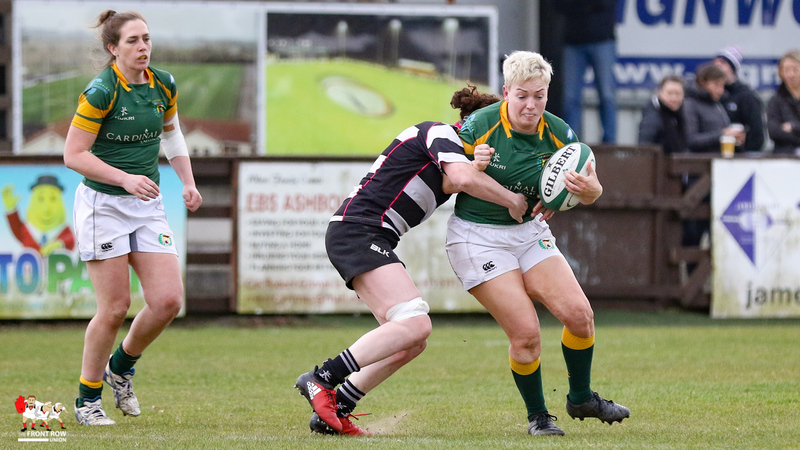 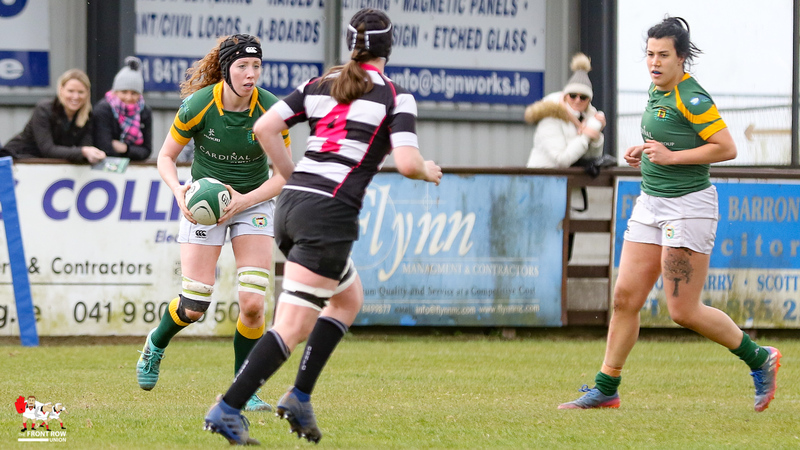 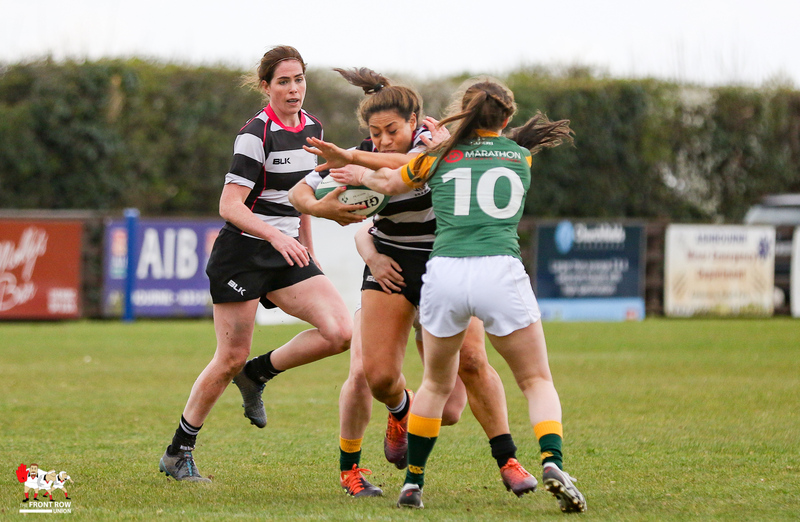 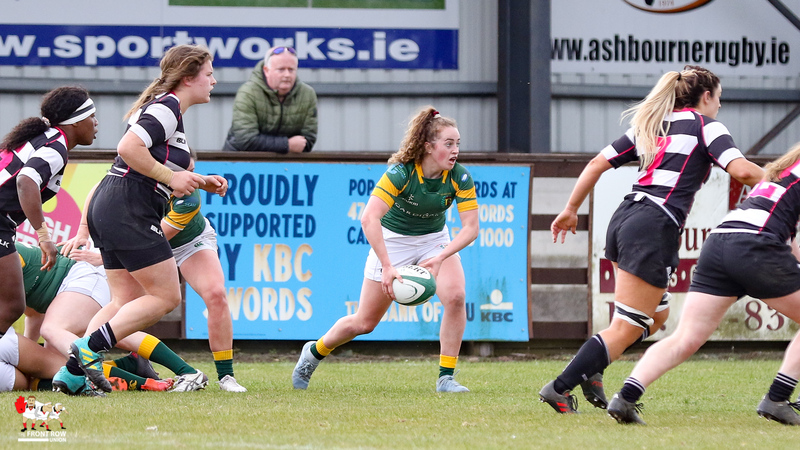 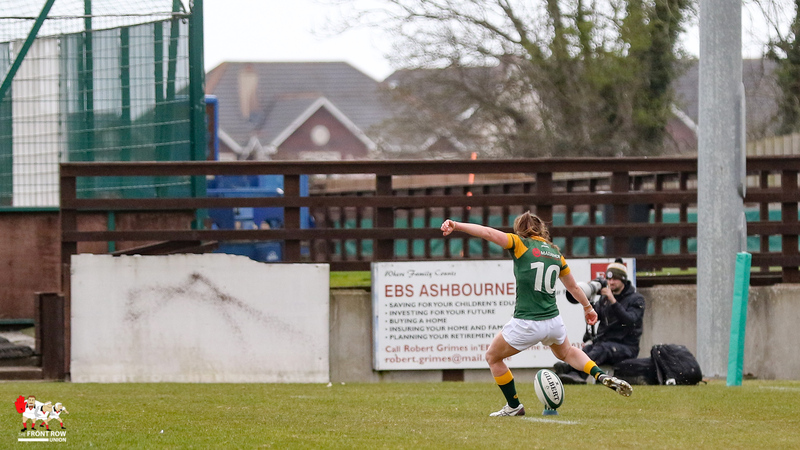 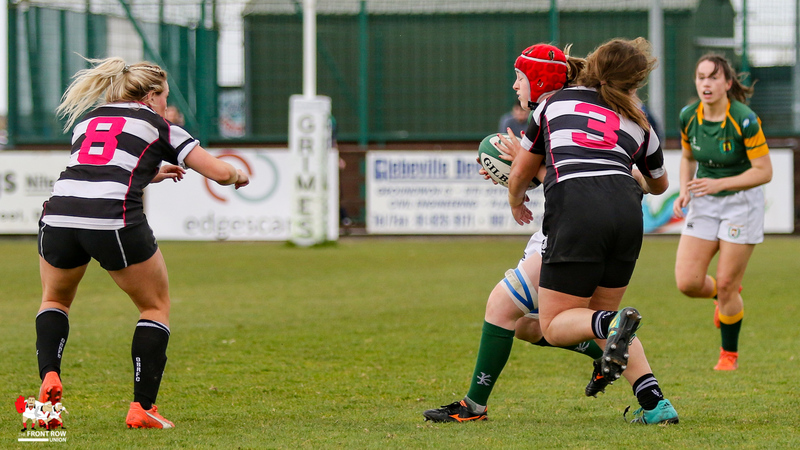 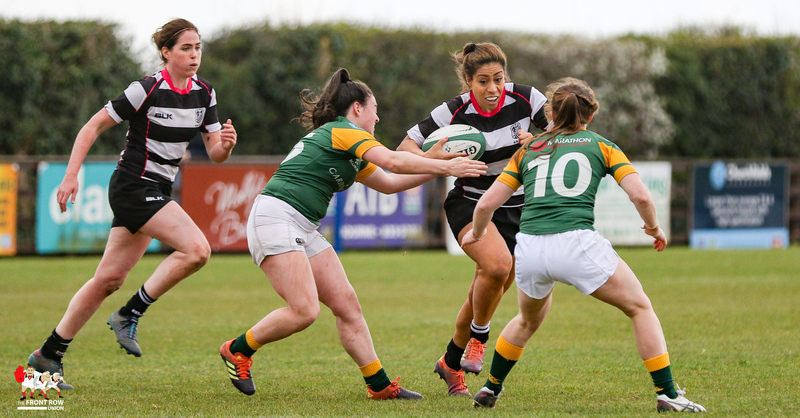 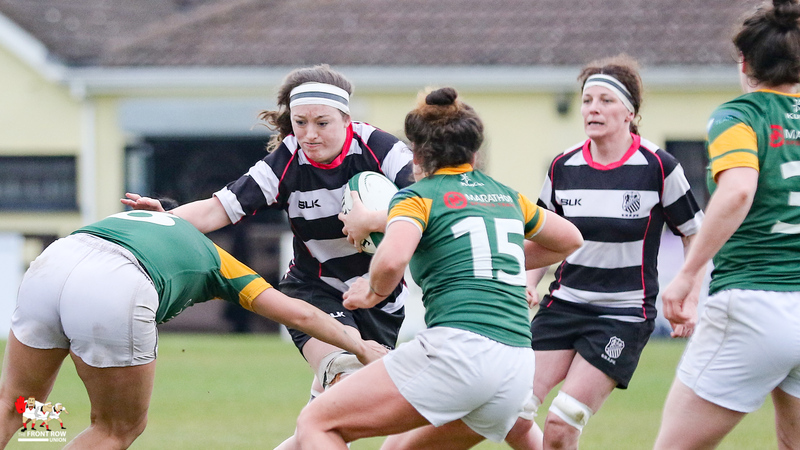 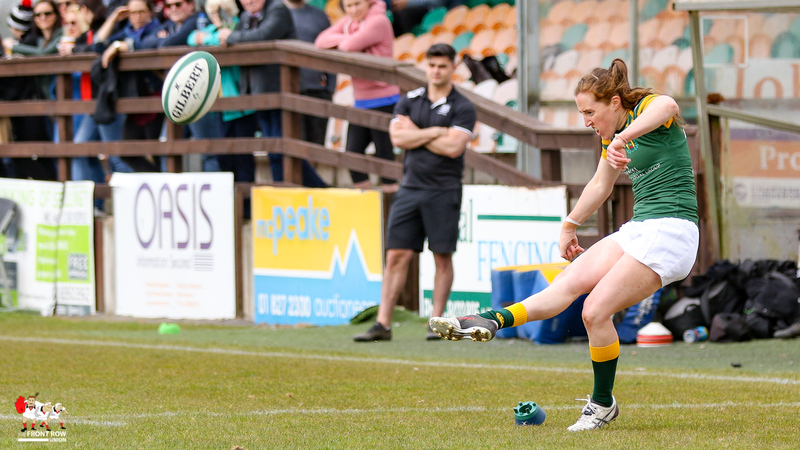 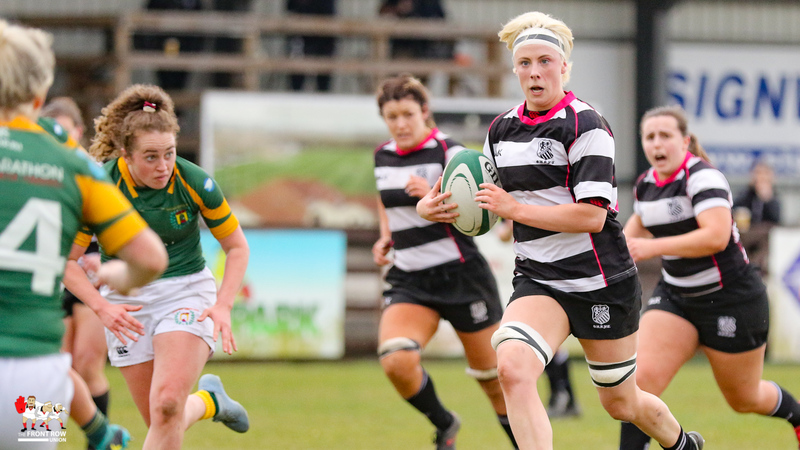 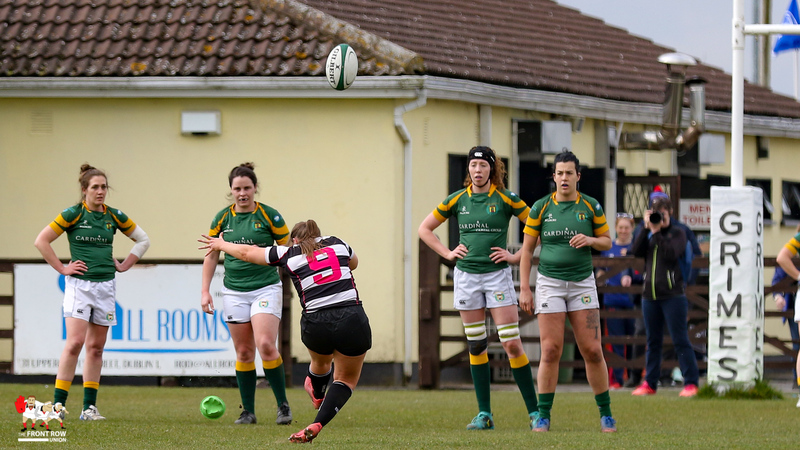 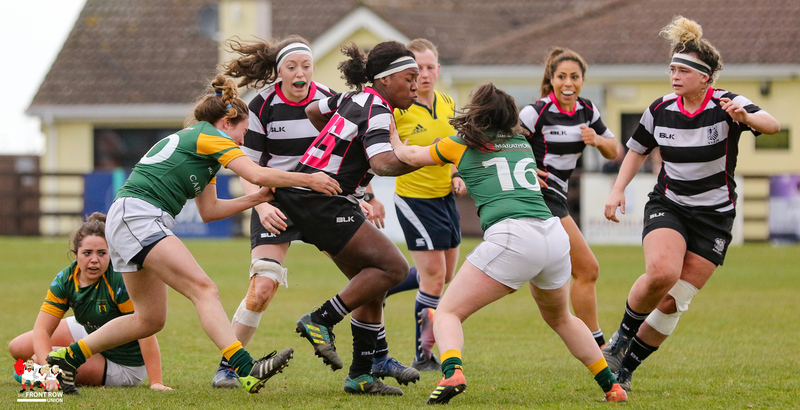 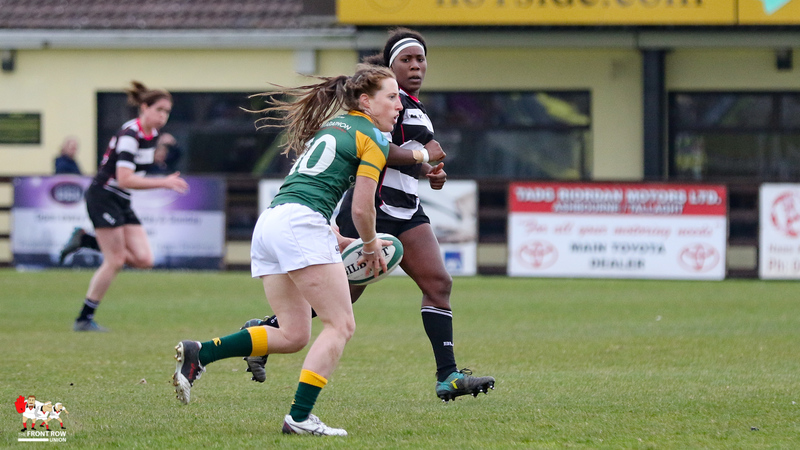 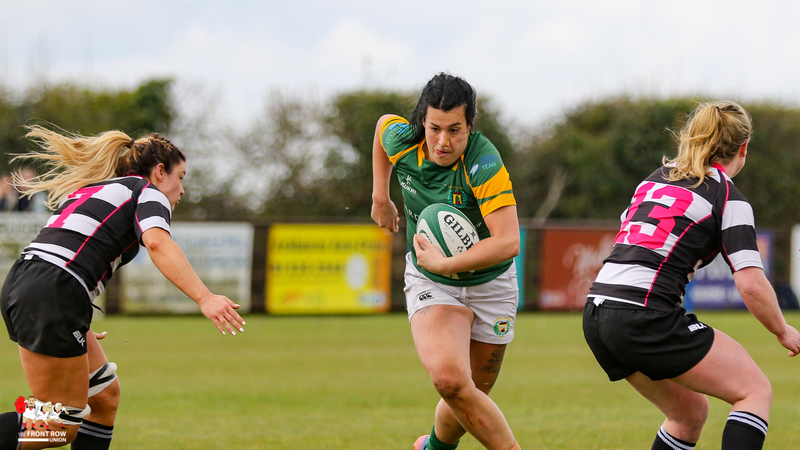 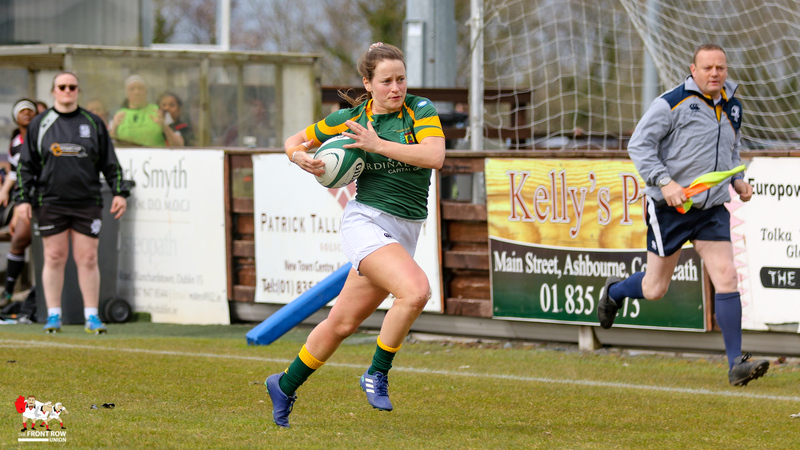 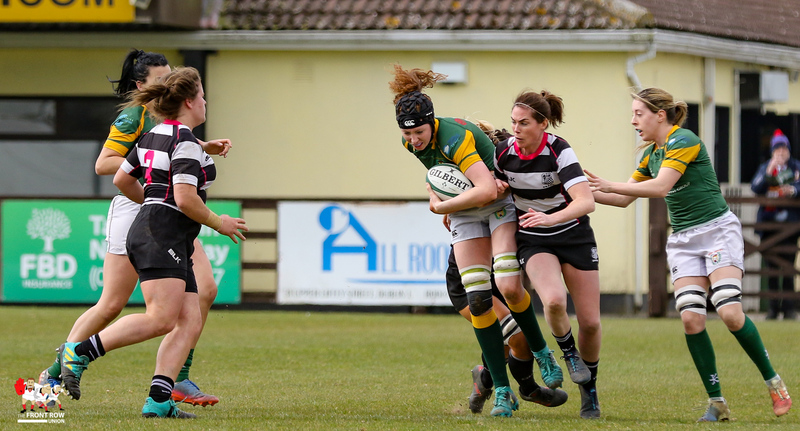 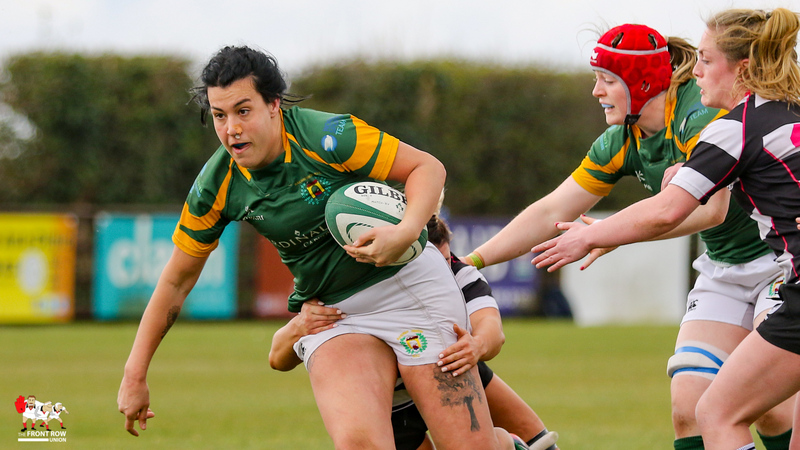 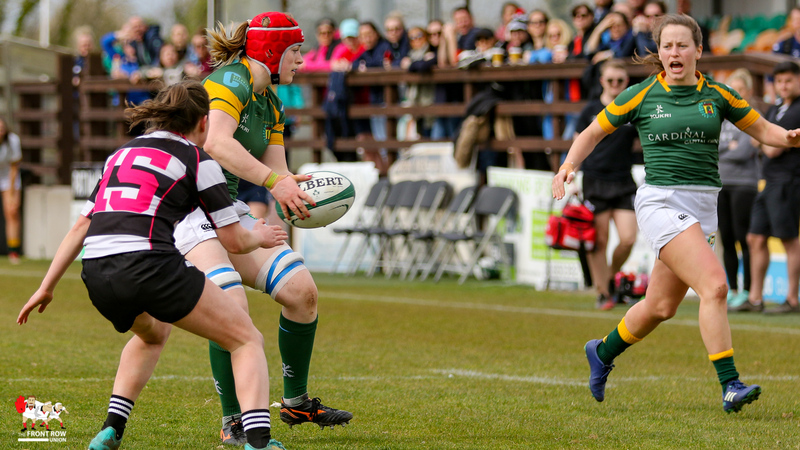 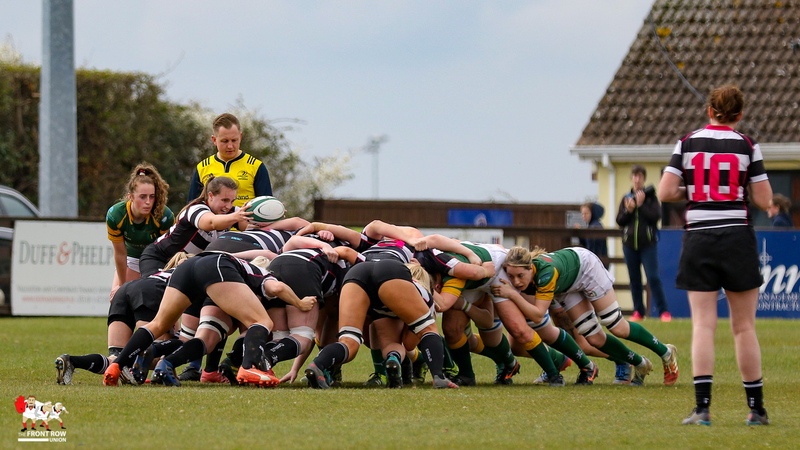 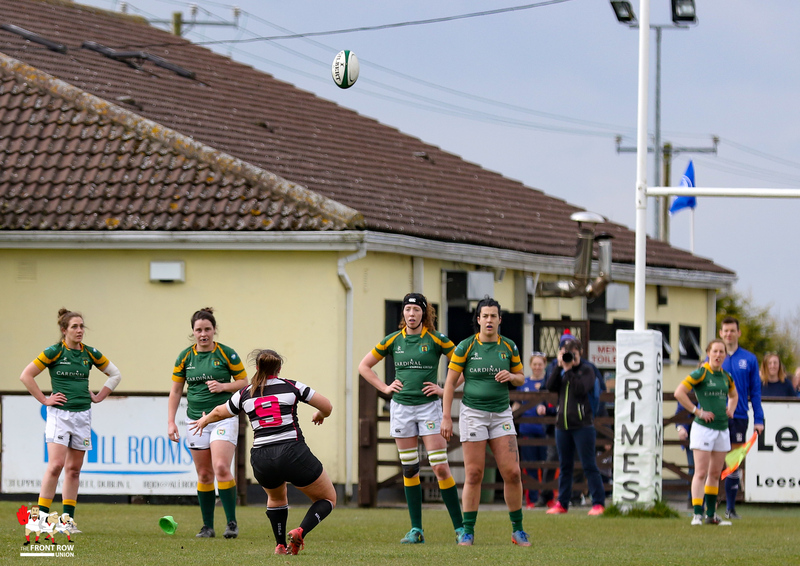 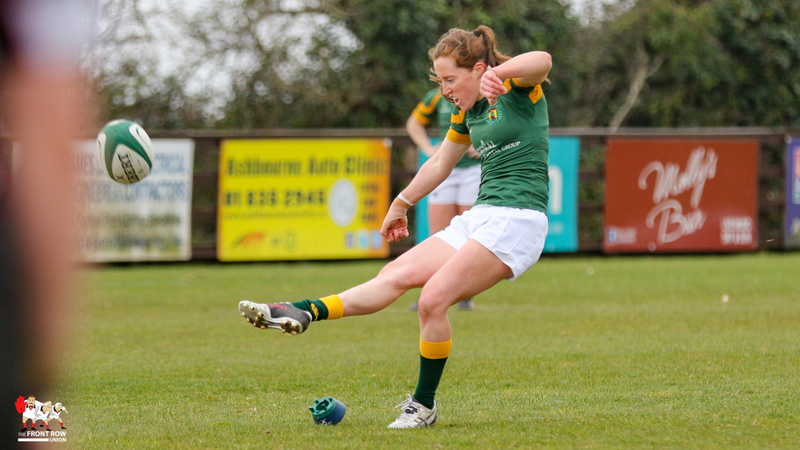 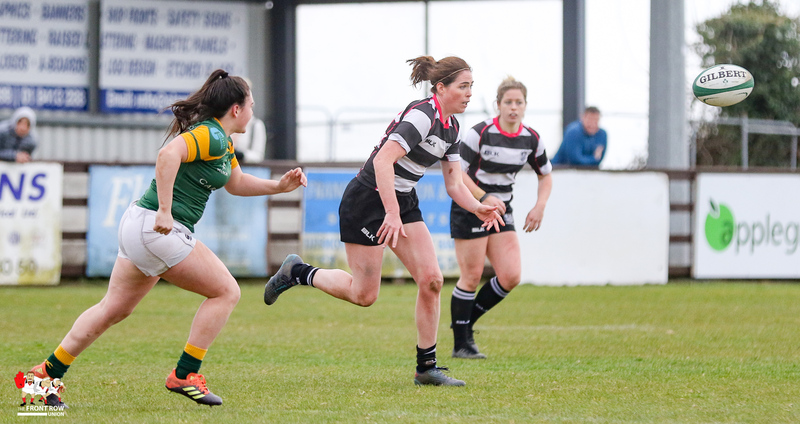 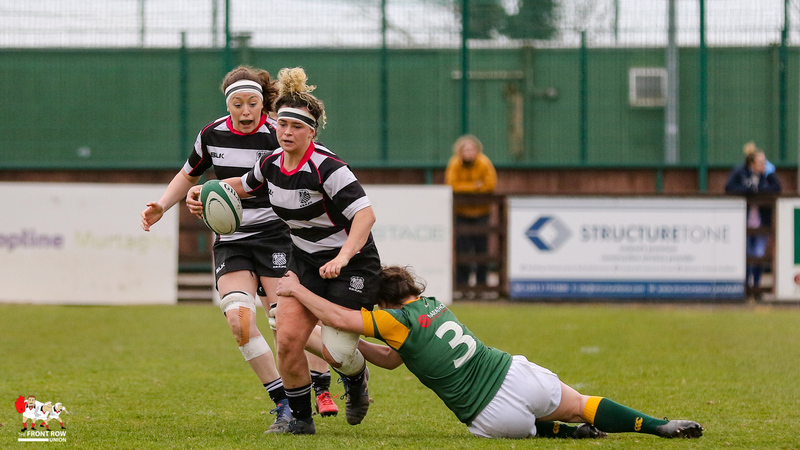 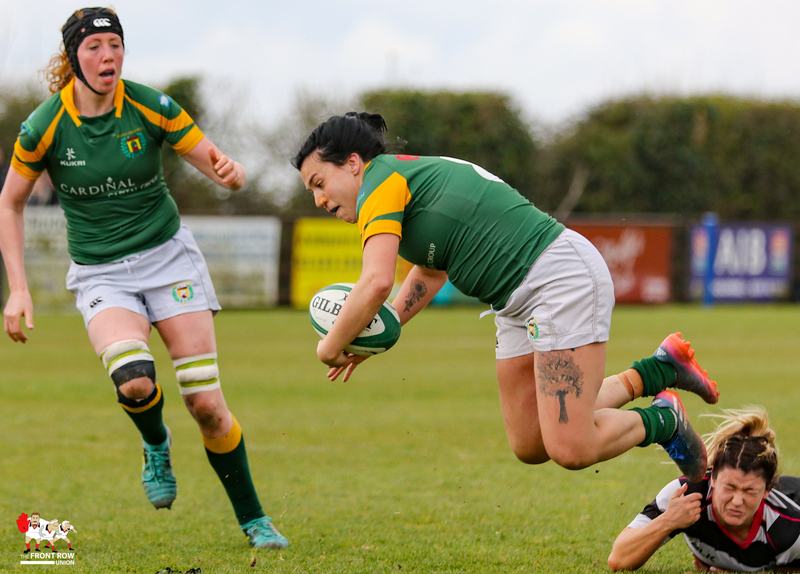 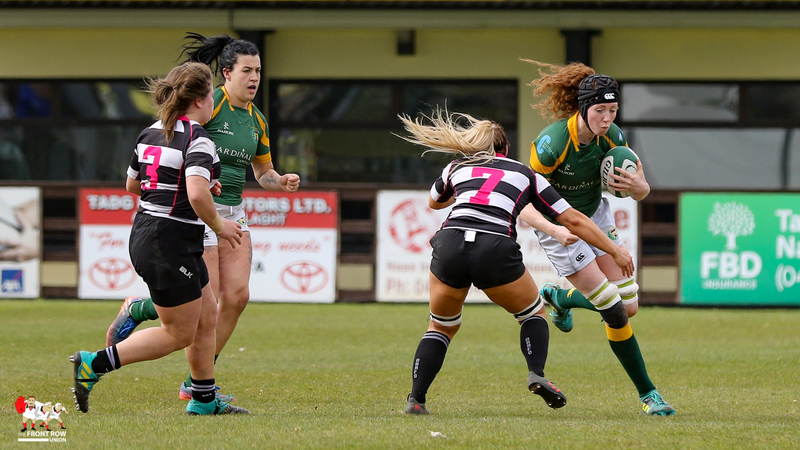 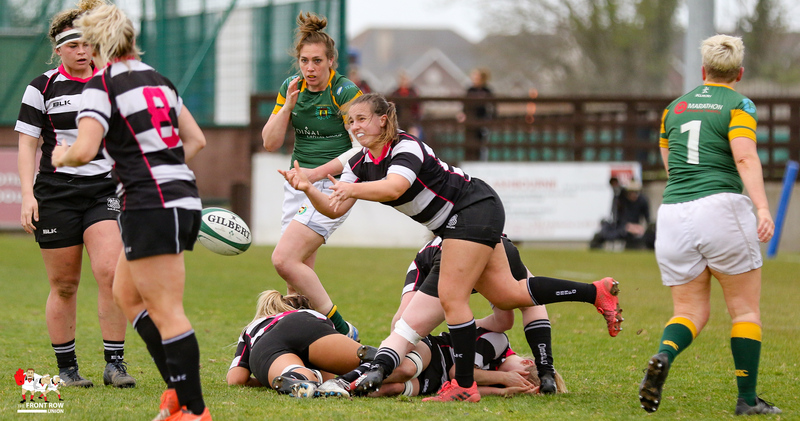 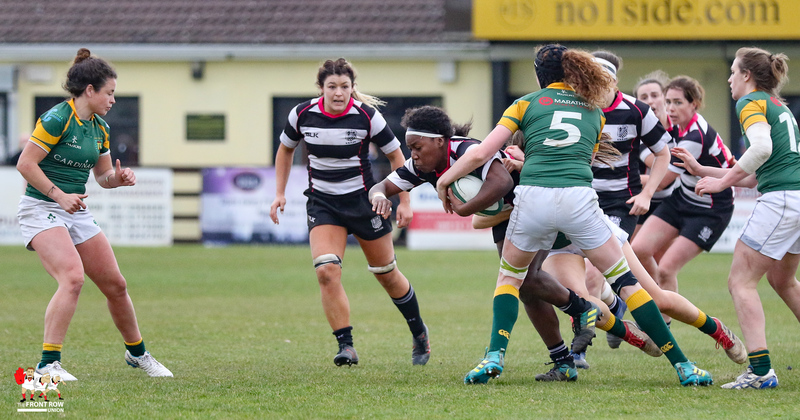 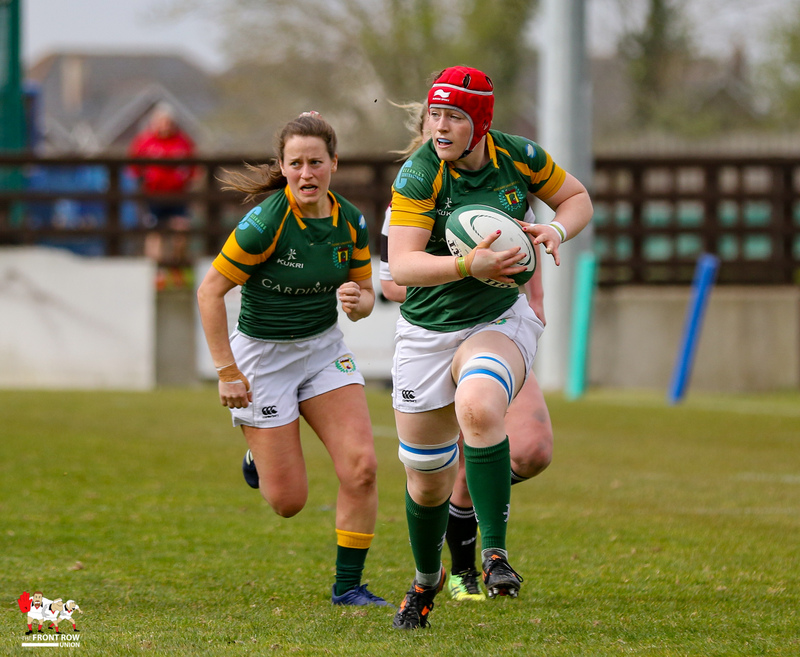 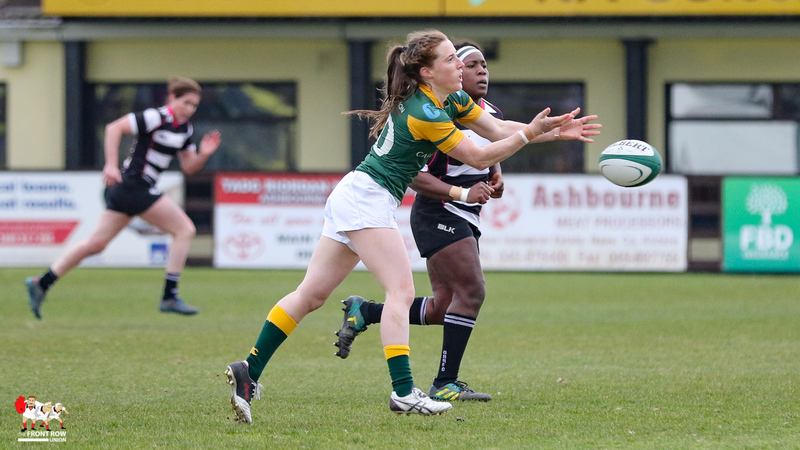 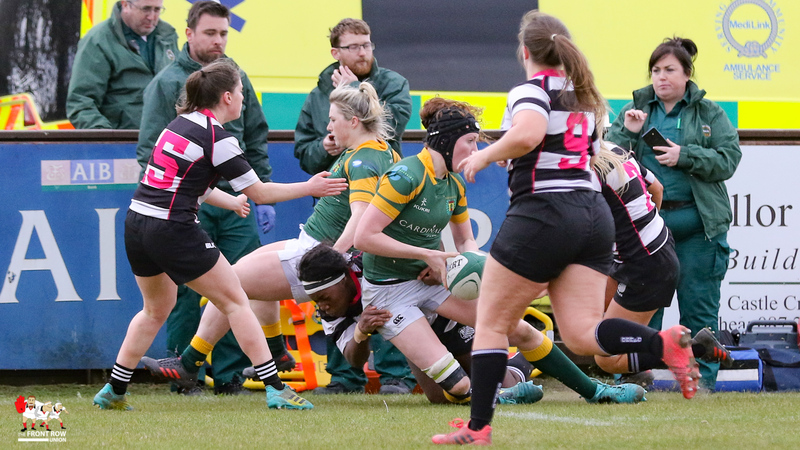 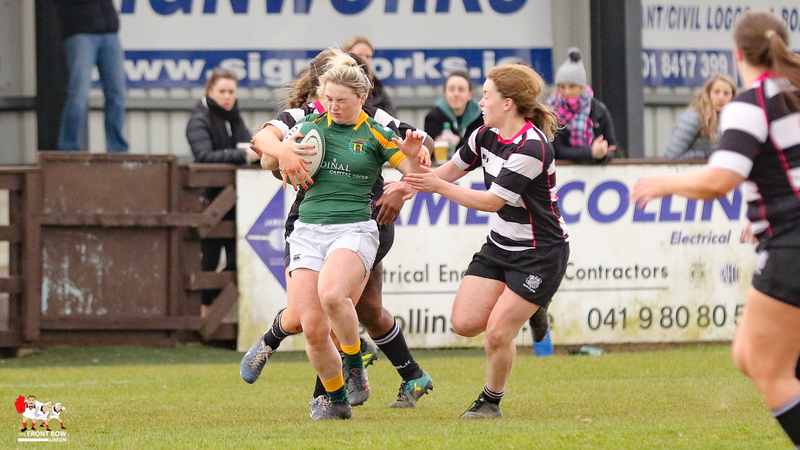 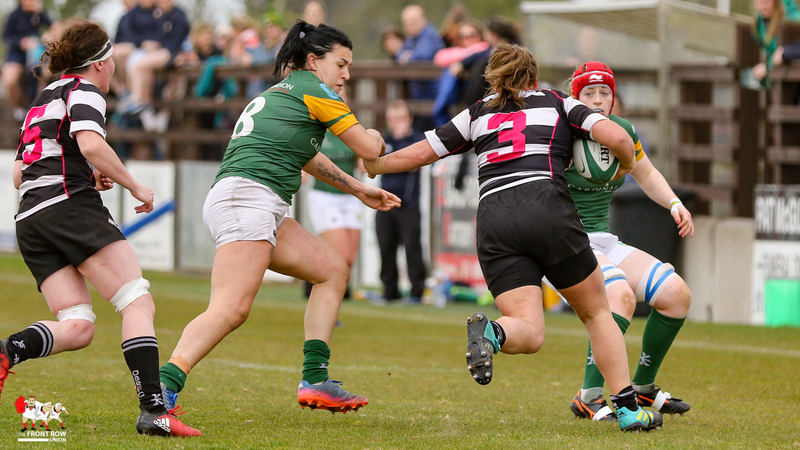 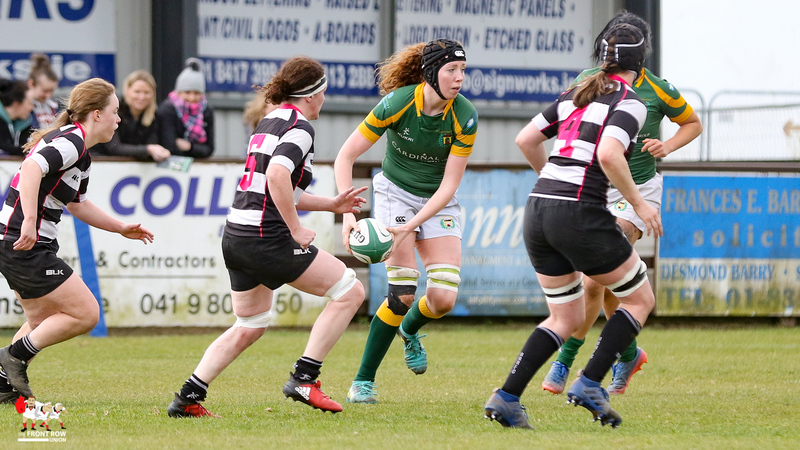 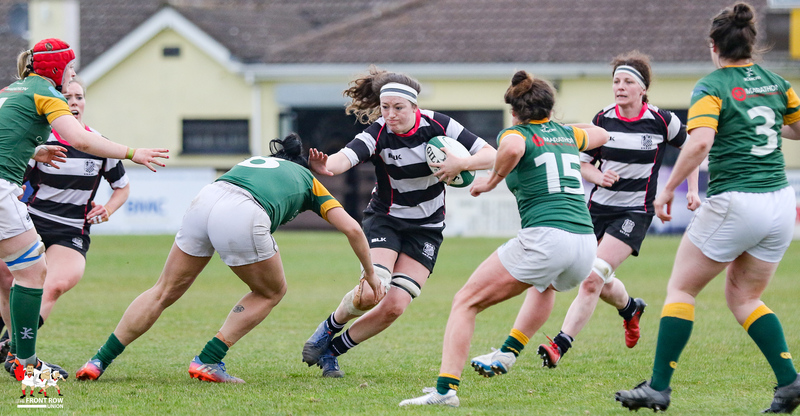 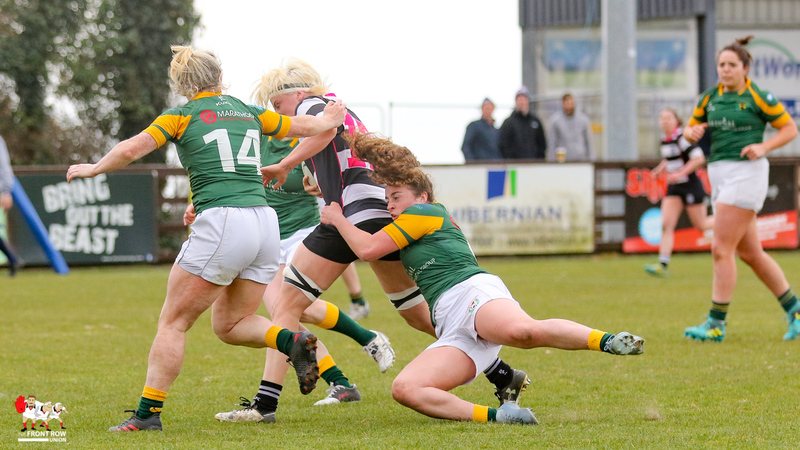 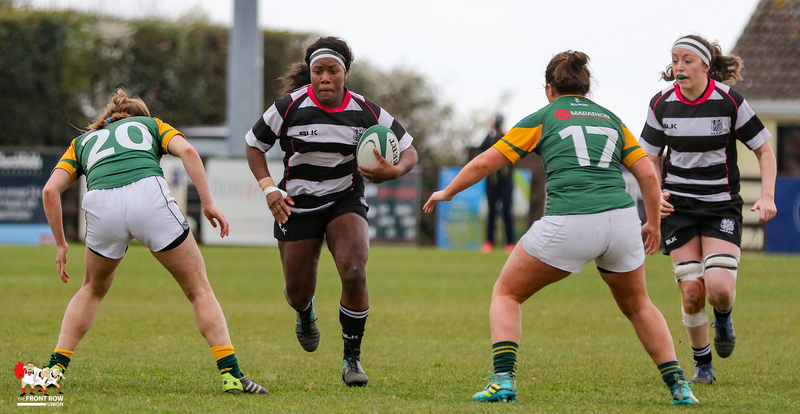 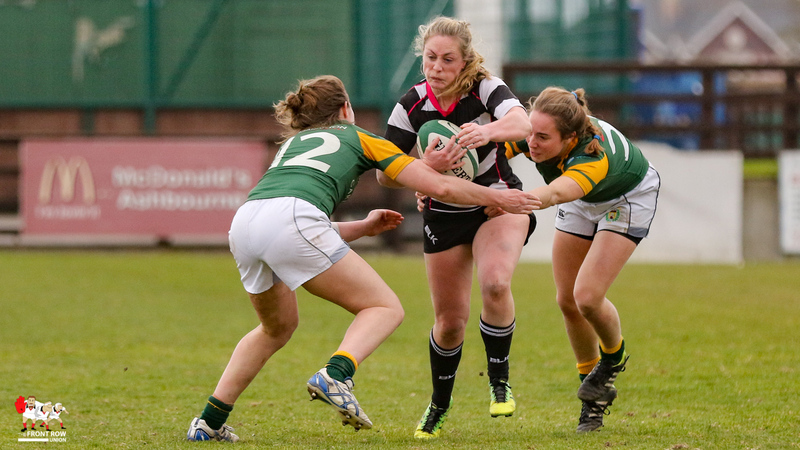 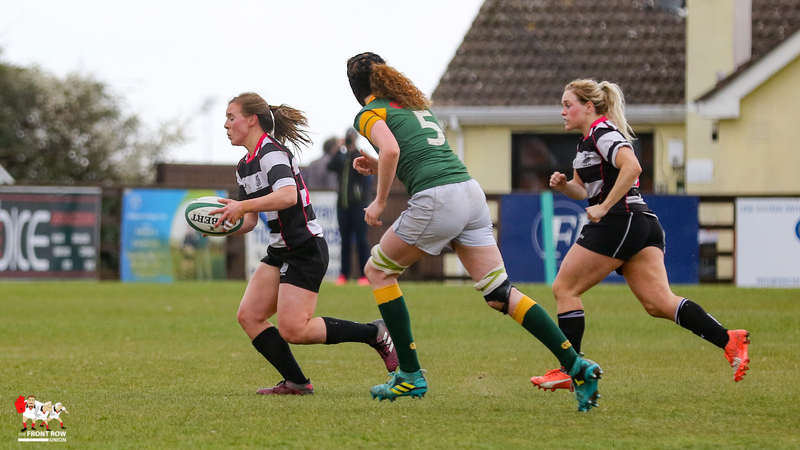 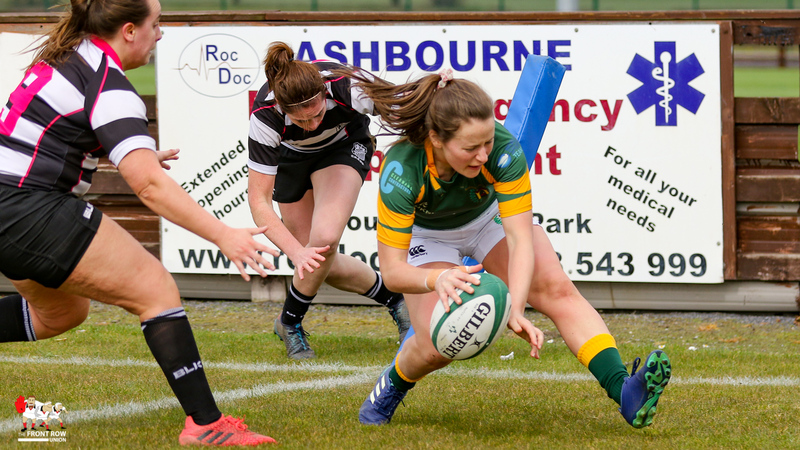 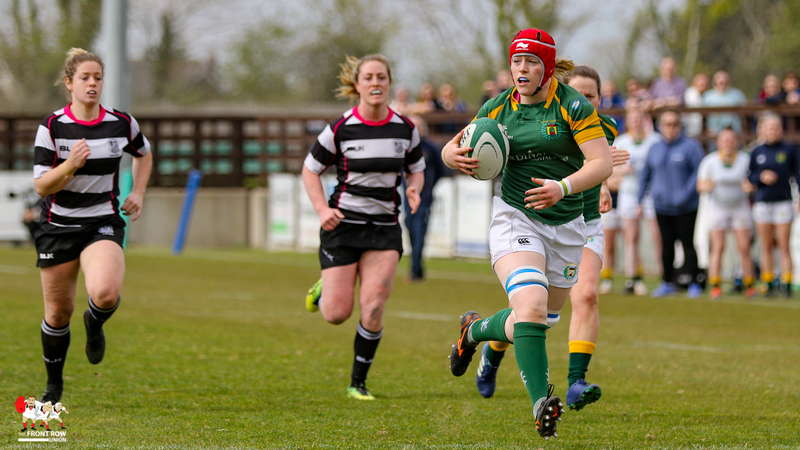 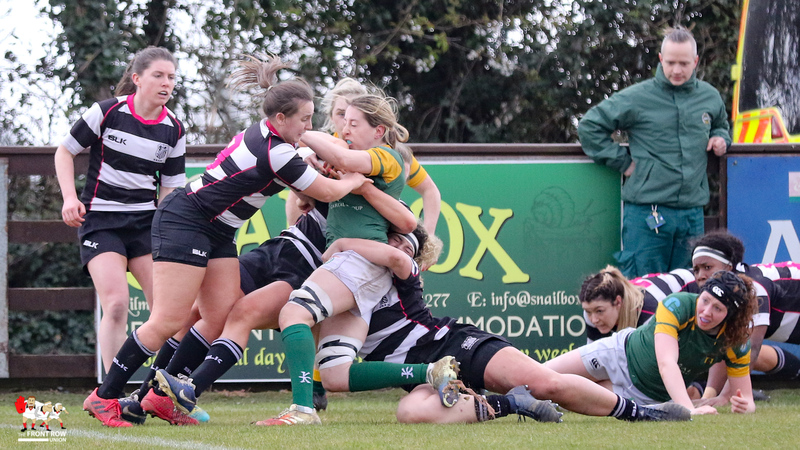 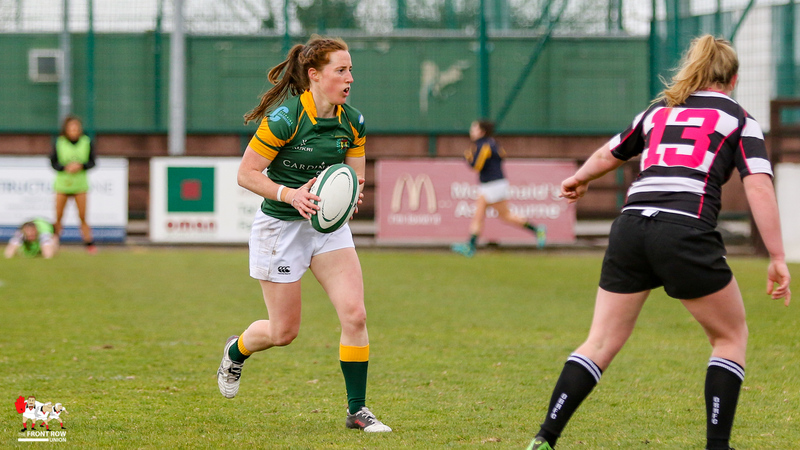 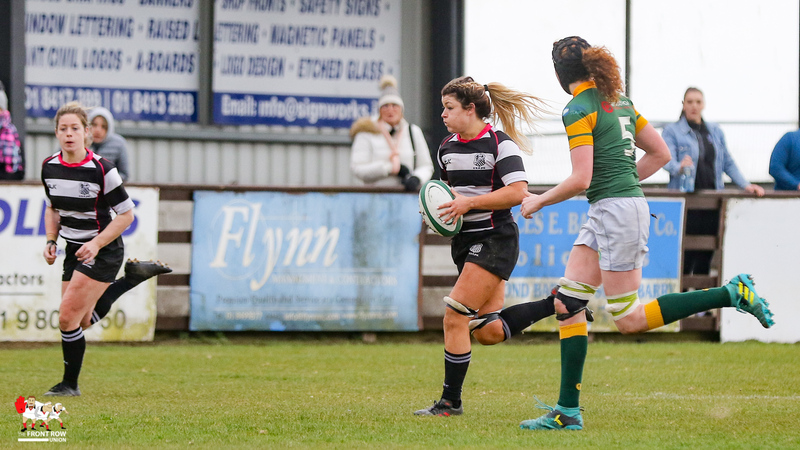 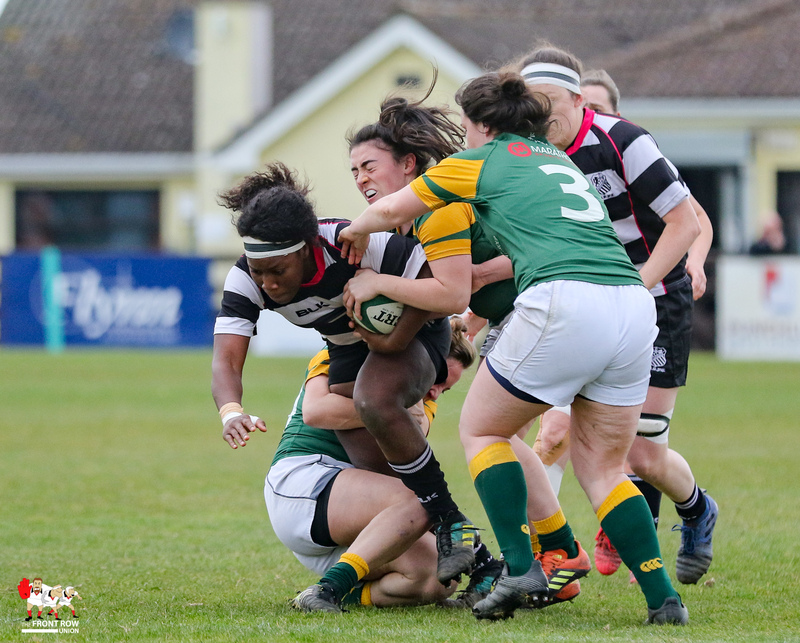 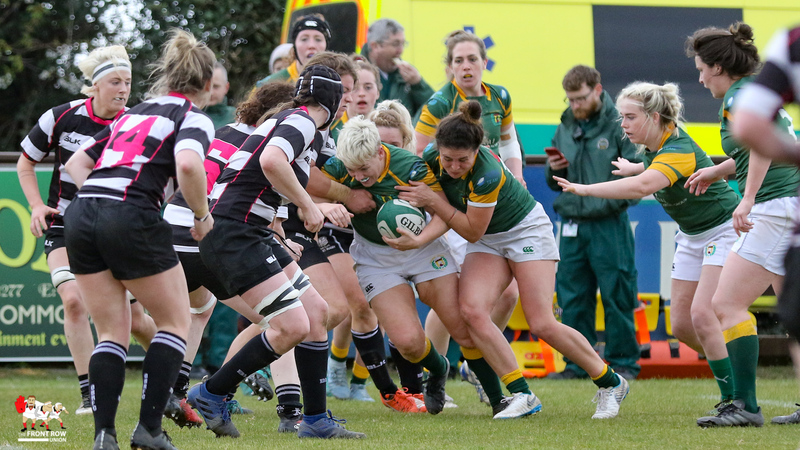 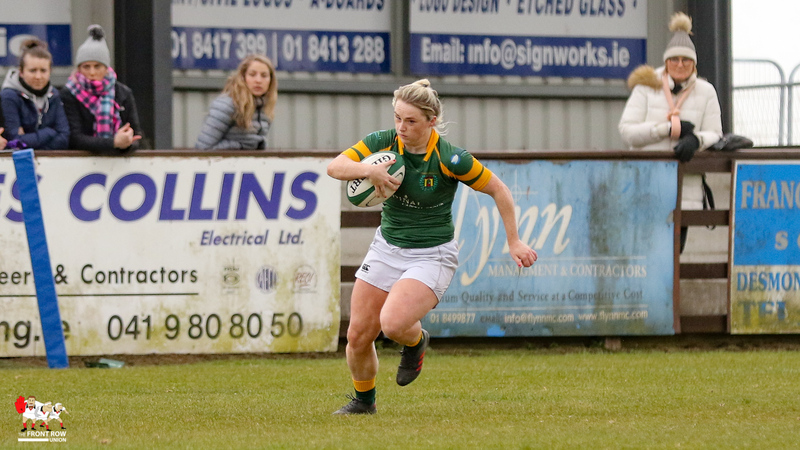 It was a busy day at Ashbourne RFC yesterday, Saturday 30th March, as Ireland Women’s former base hosted the Women’s All Ireland Cup, Plate and Shield finals. 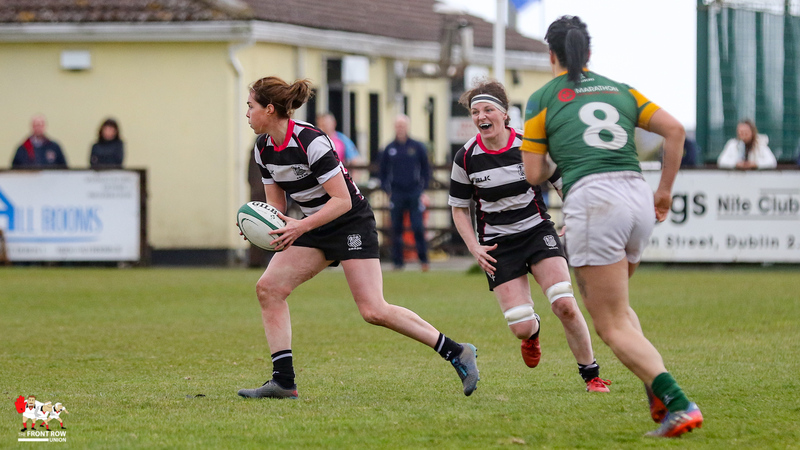 First up we had the, first of two, AIL play off semi final rehearsals as Railway Union played Old Belvedere in the Plate Final. 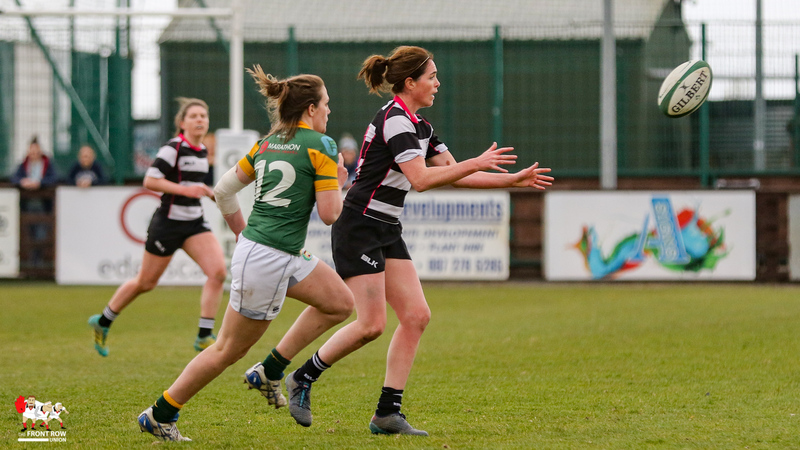 The teams are due to meet again in the play in a fortnight’s time as they battle for the league title. 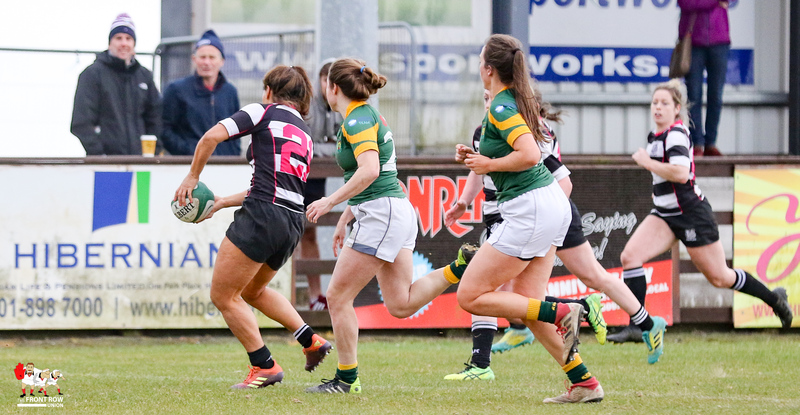 Railway Union showed their cup credentials pulling away in the second half for a decisive win after the teams tied at half time. 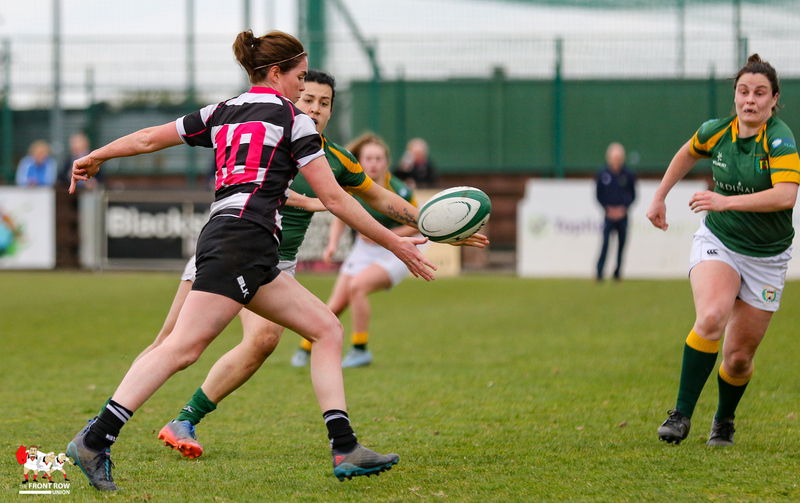 Belvo’s Jemma Jackson opened the scoring with an early penalty and the D4 Aristocrats probably edged the territory and possession in the first half. 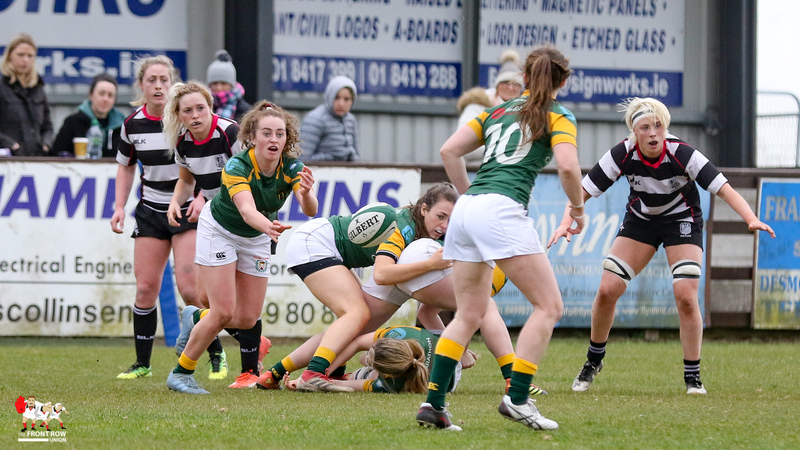 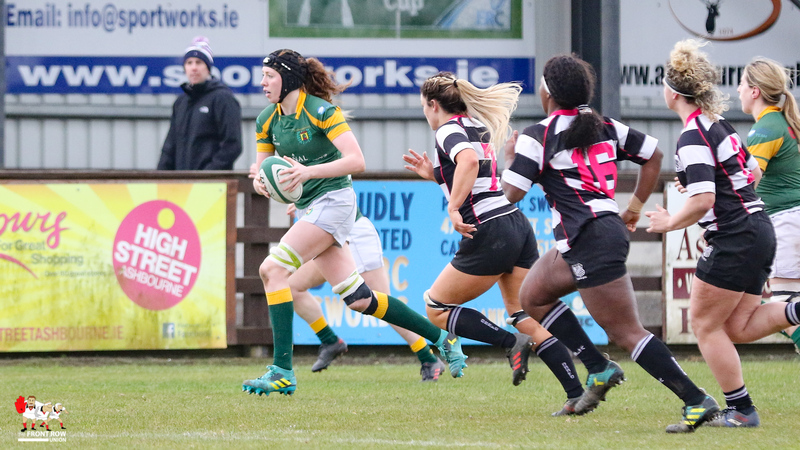 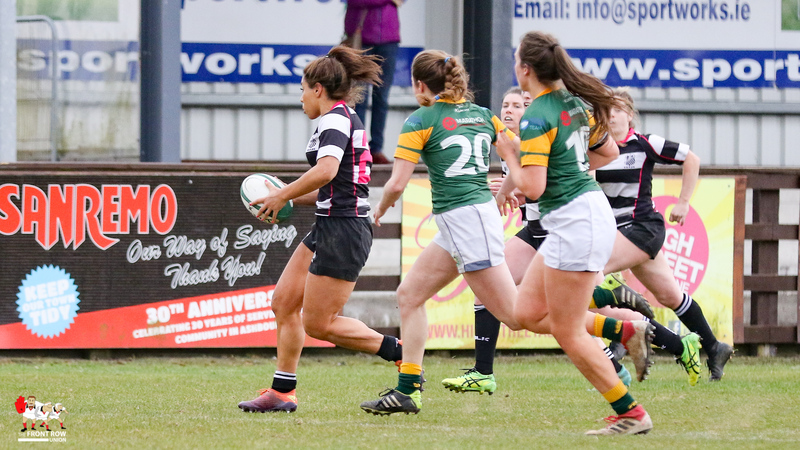 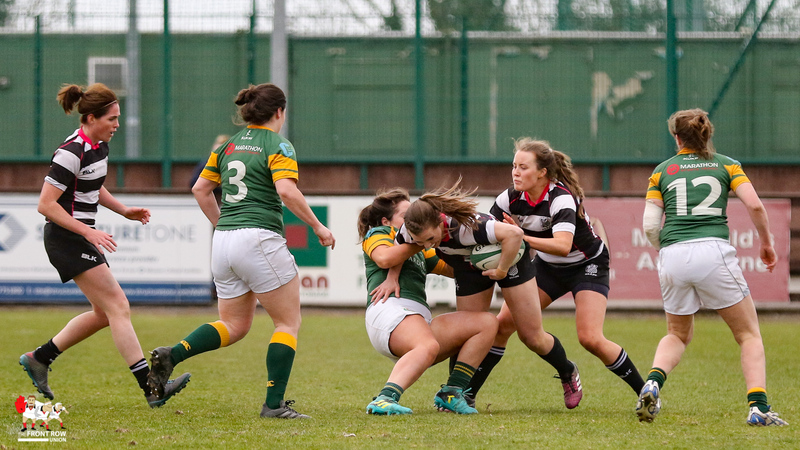 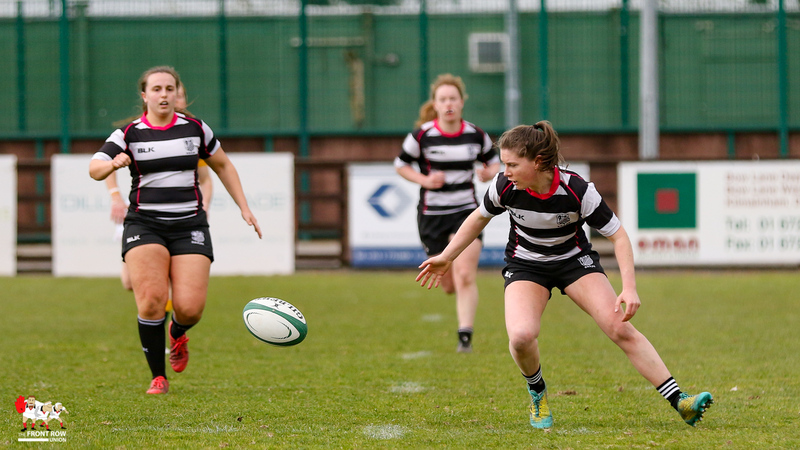 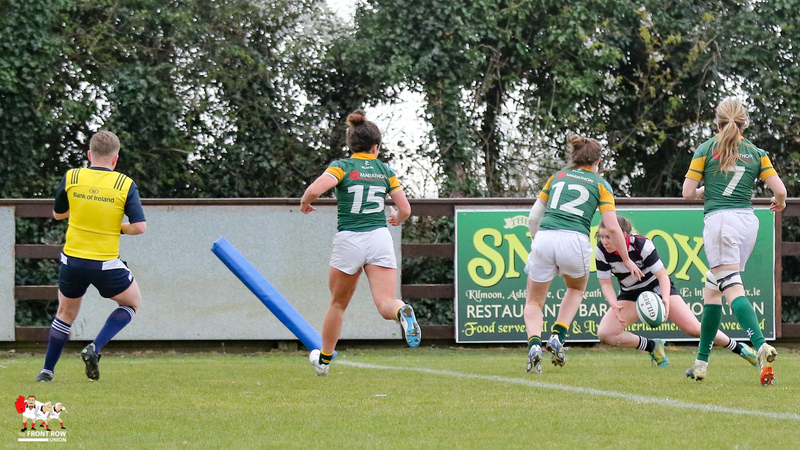 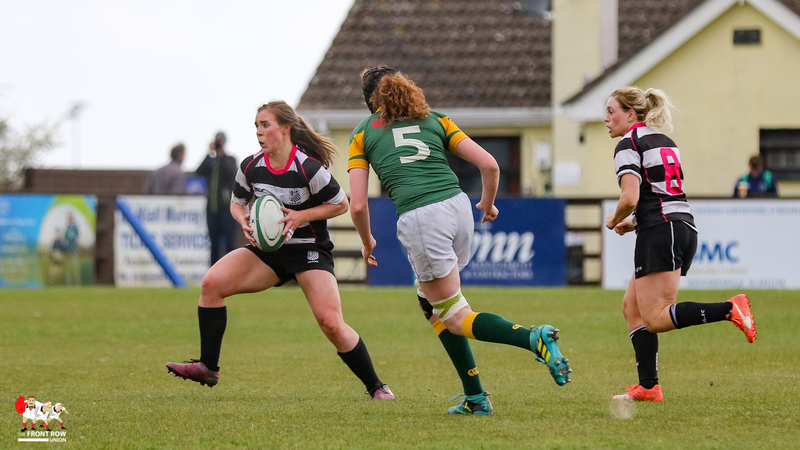 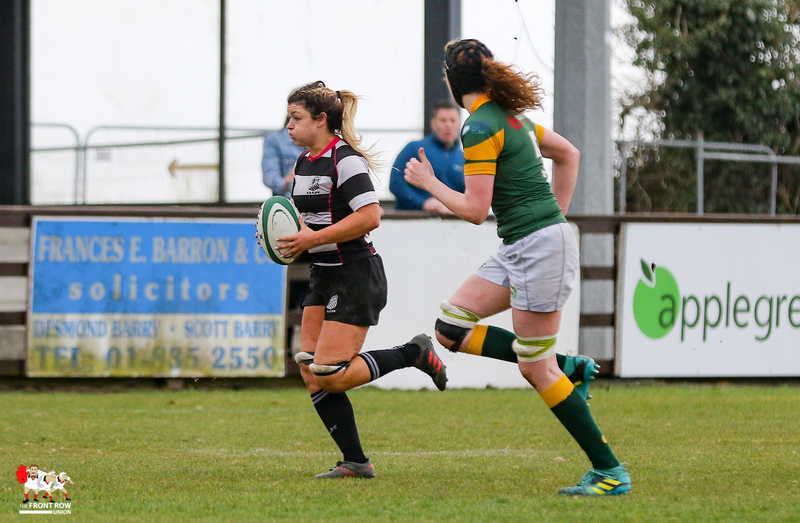 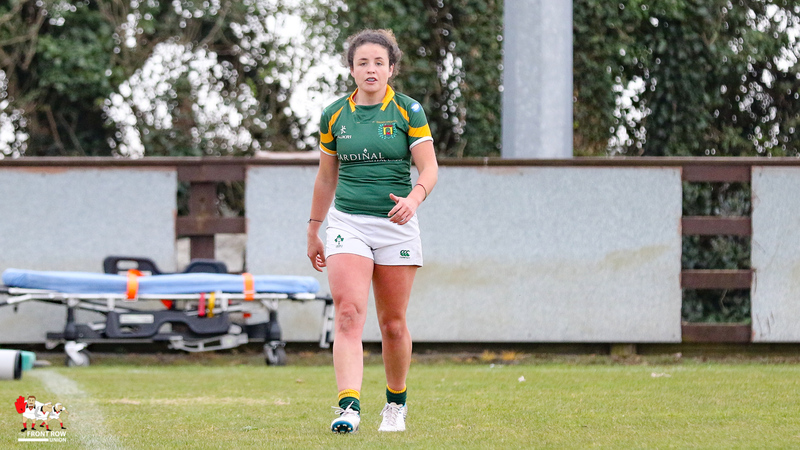 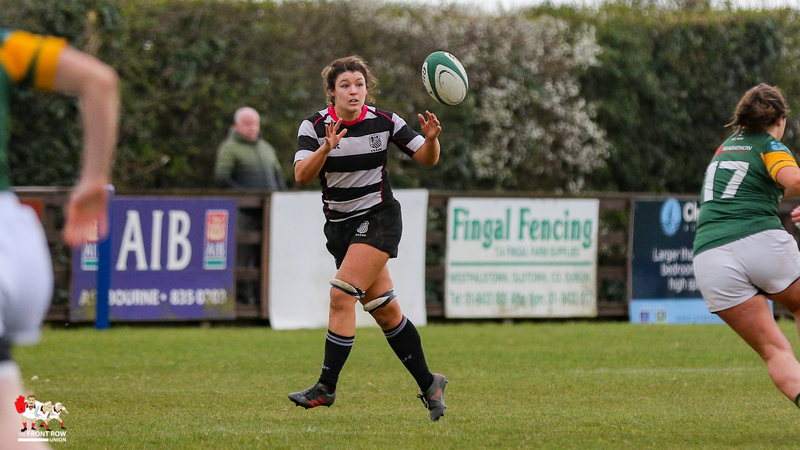 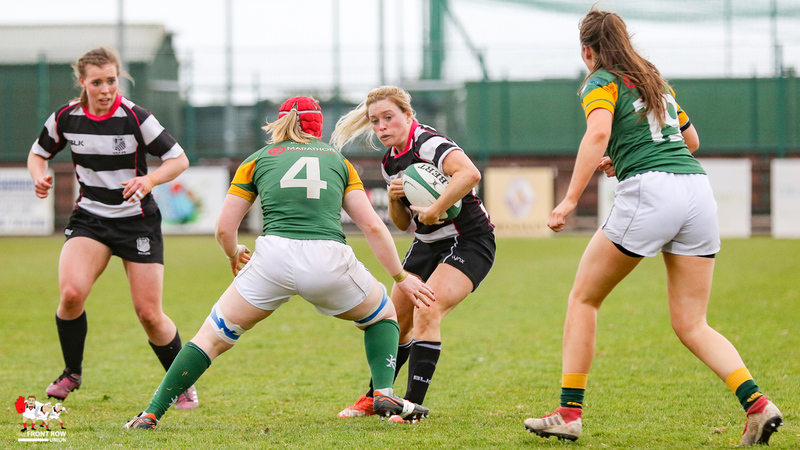 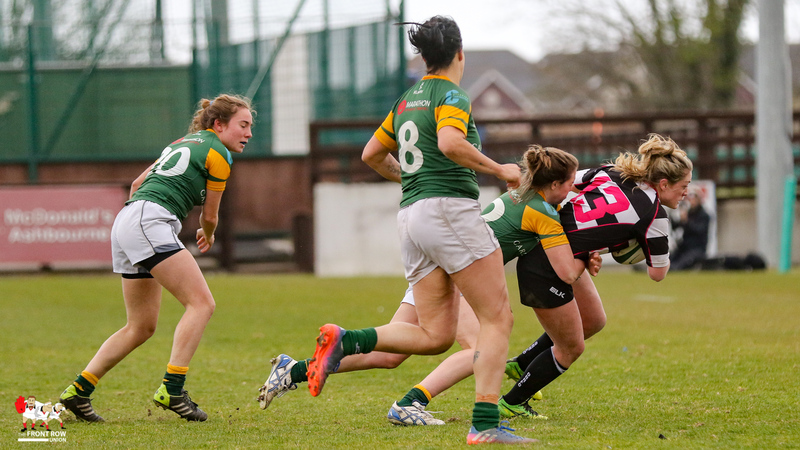 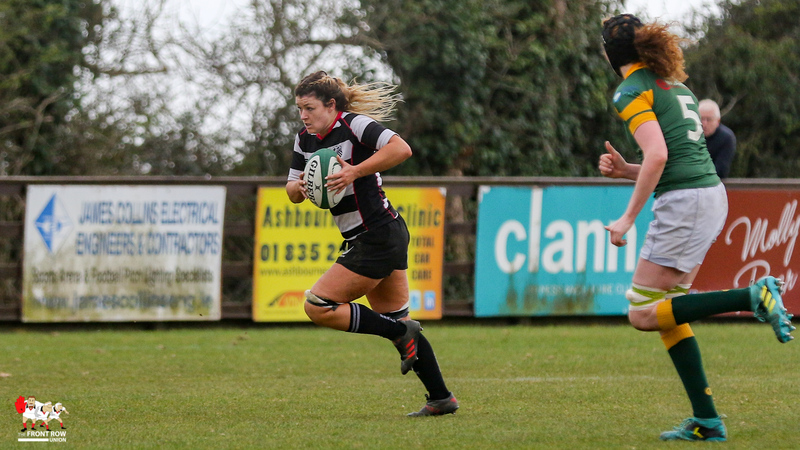 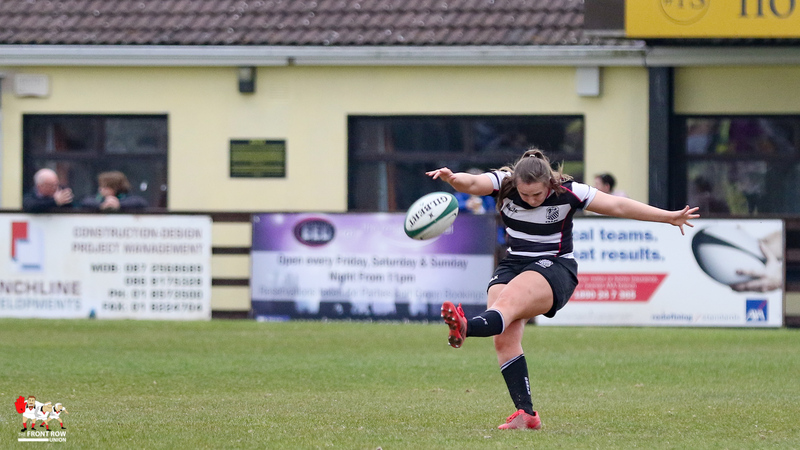 However, Railway looked threatening on the counter, with Emma Taylor and Aoife McDermott racking up some big carries and the D4 Pretenders replied within five minutes with Emer O’Mahony crossing in the corner for an unconverted try. 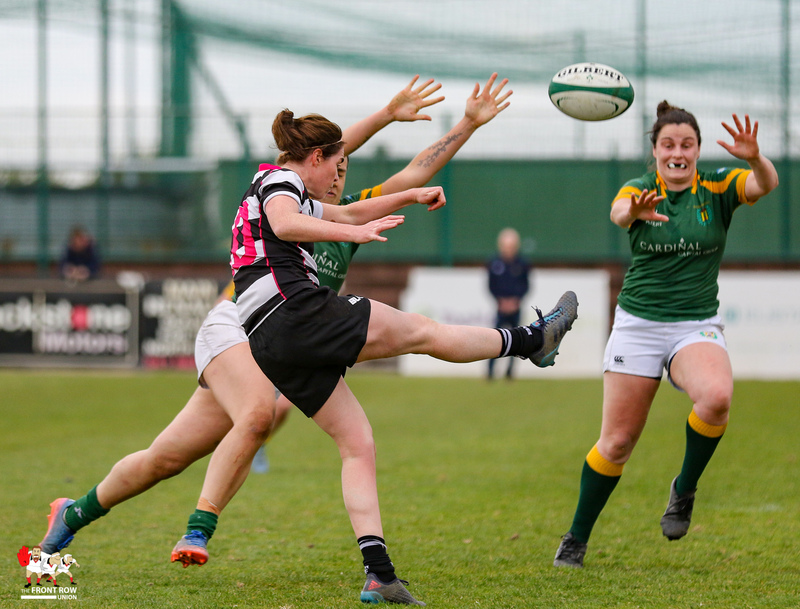 Claire Keohane pushed Railways lead out to five points mid way through the first half with a well struck penalty but Belvo responded late in the half with a well worked move ending with Alice O’Dowd crossing out wide to tie the score at 8 – all as the teams changed ends. 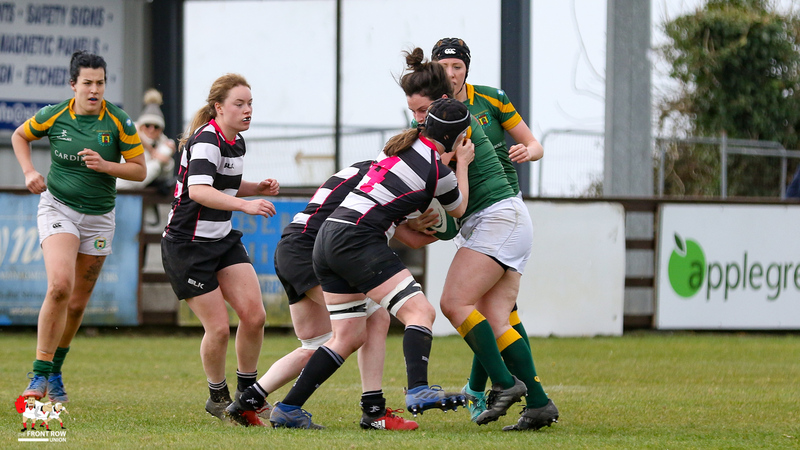 Belvo continued to claim their fair share of possession in the second half but Railway had the sharper attack. 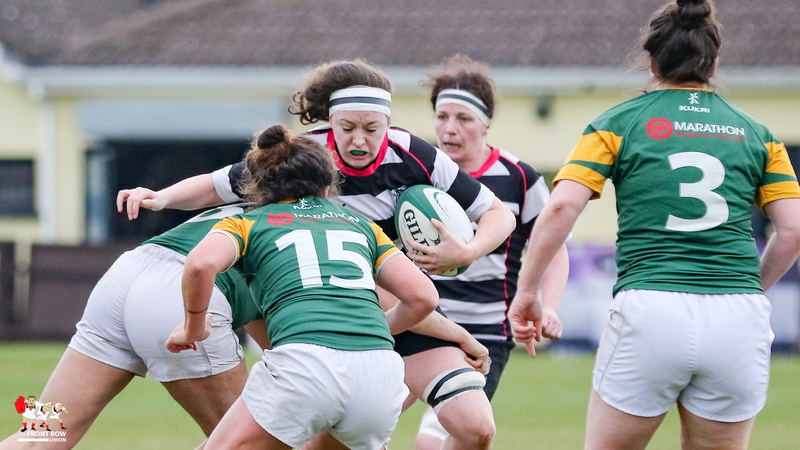 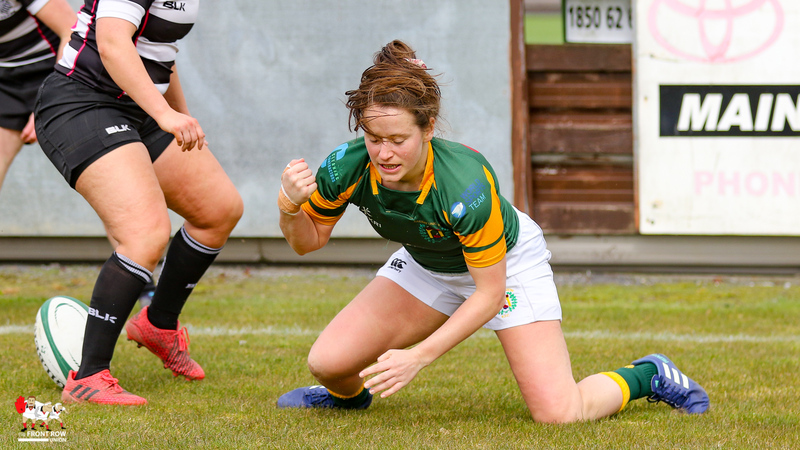 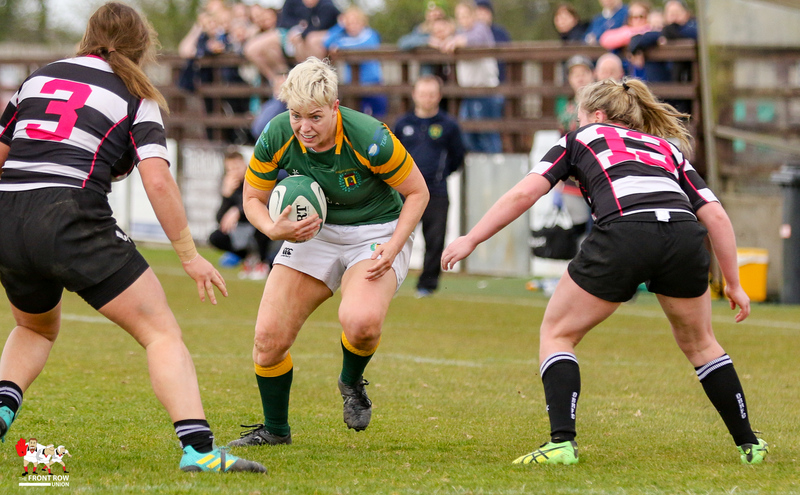 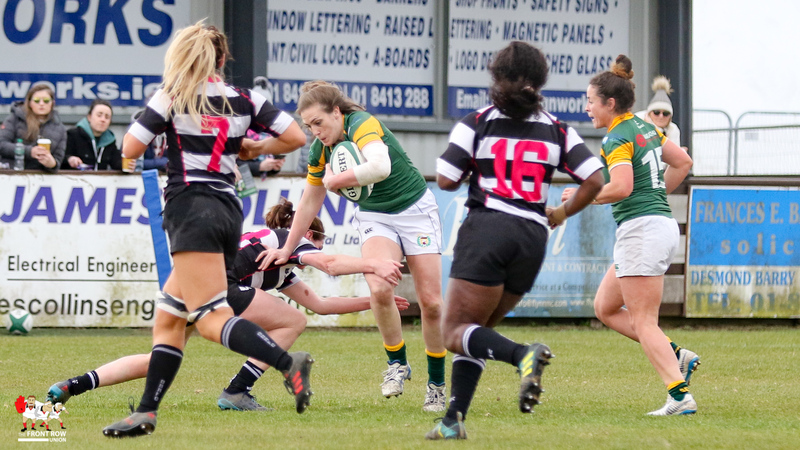 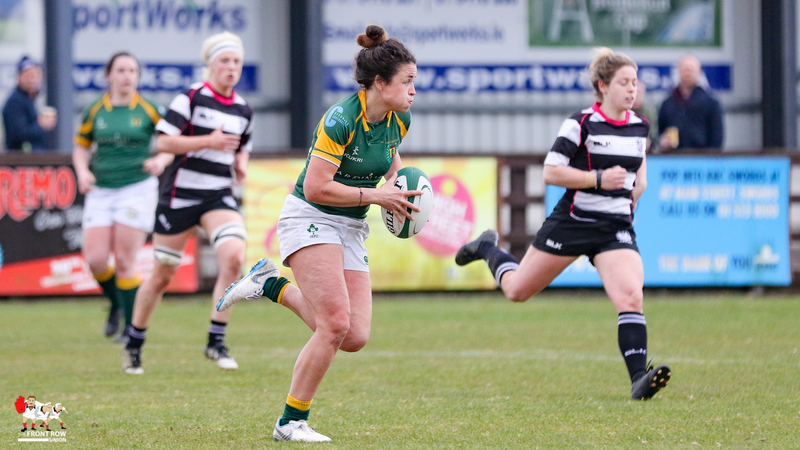 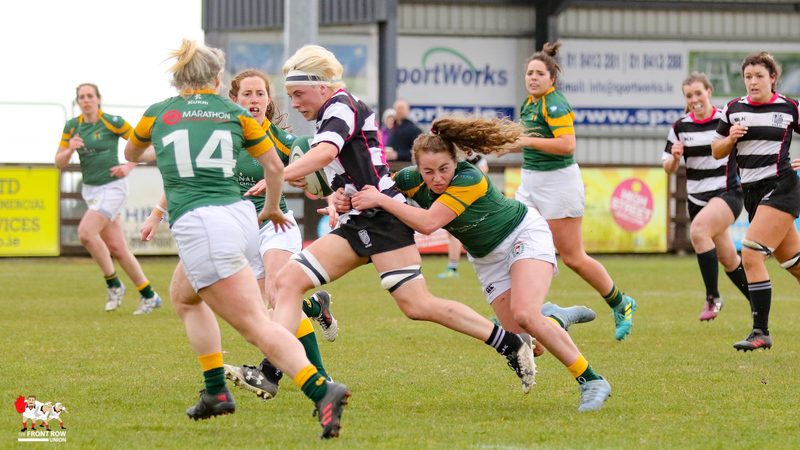 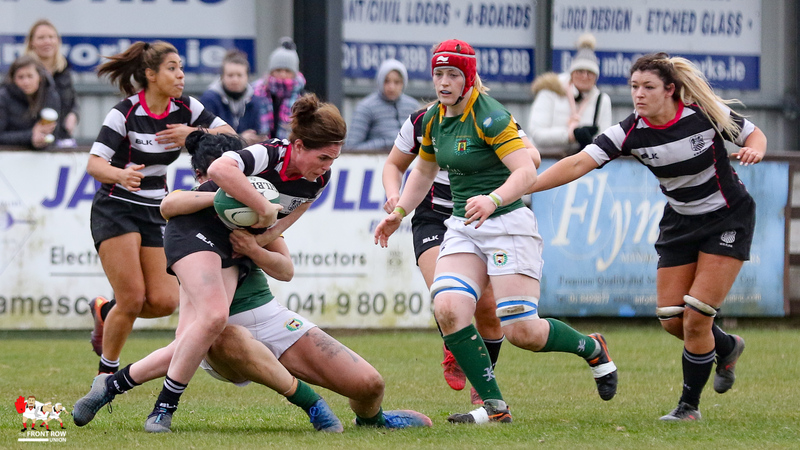 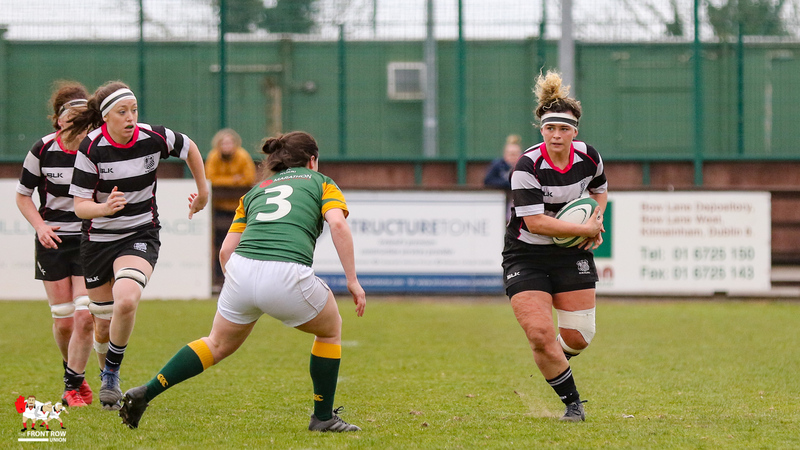 Stephanie Carroll crossed early on the third quarter to put Railway back in front and two late tries from, The Front Row Union Player’s Player, Emma Taylor and, Ulster Women’s captain, Larissa Muldoon put a sizable dollop of icing on the cake for the Park Avenue outfit. 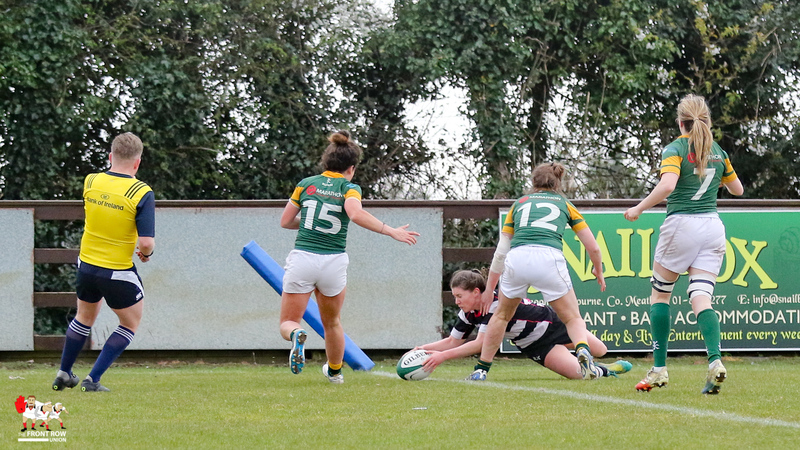 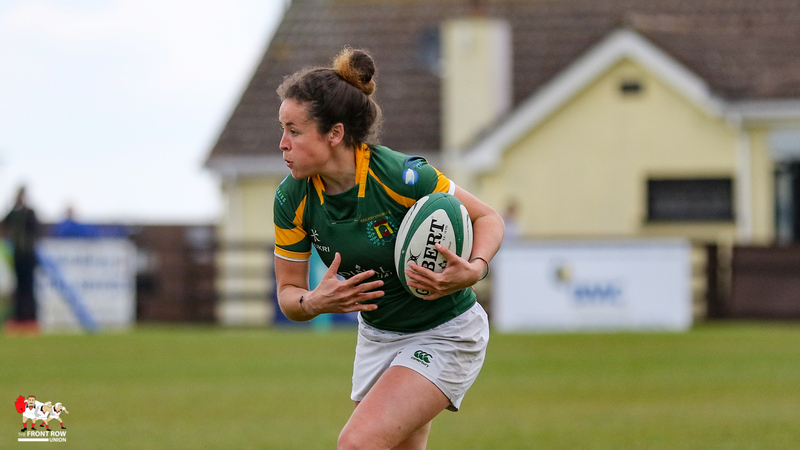 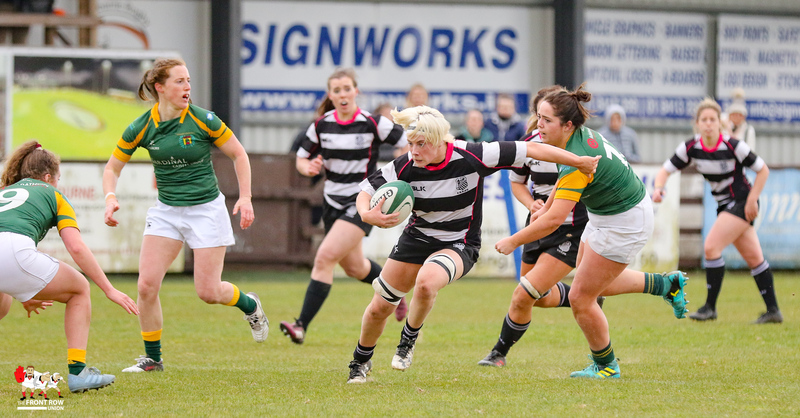 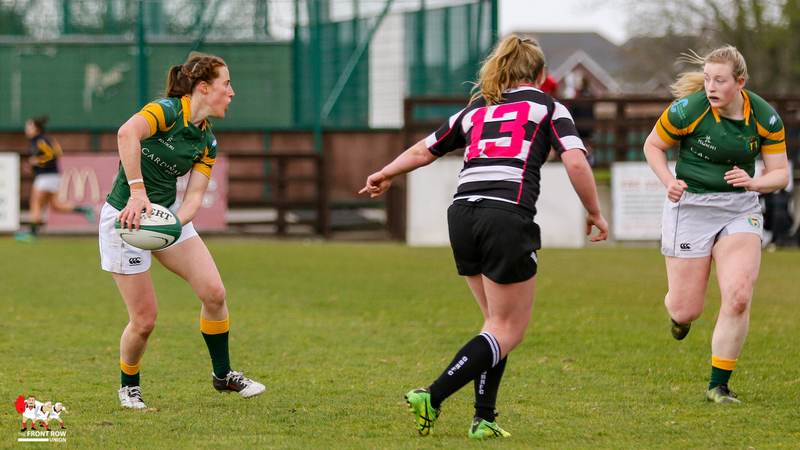 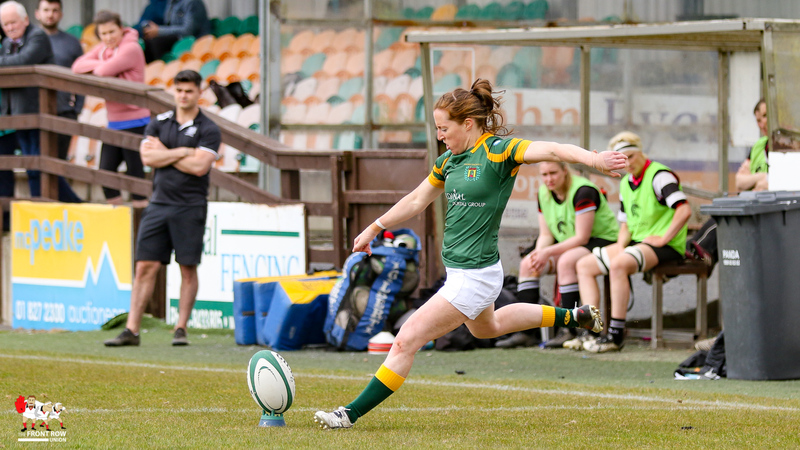 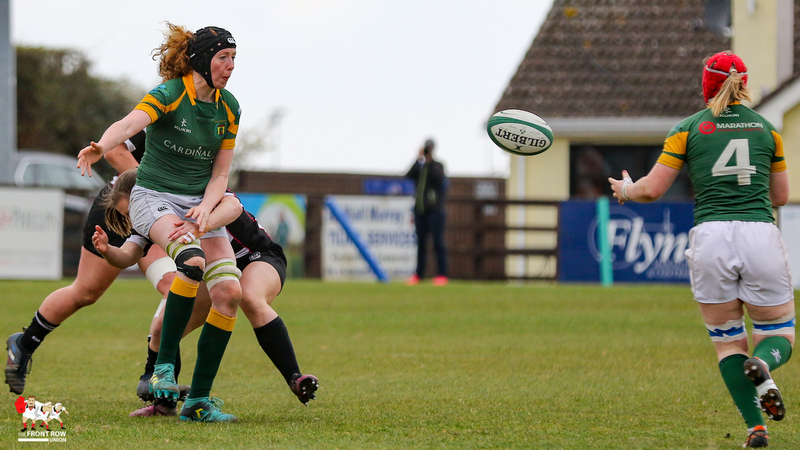 Claire Keohane converted Taylor’s try to give Railway a convincing 25 – 8 win. 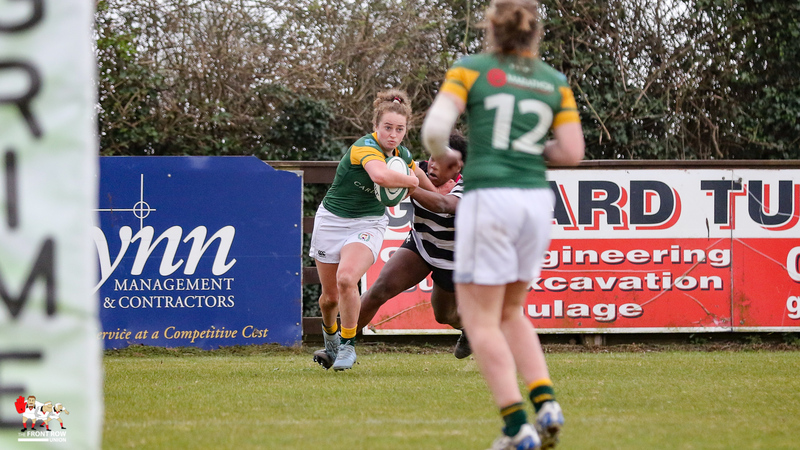 RAILWAY UNION: Larissa Muldoon, Stephanie Carroll, Niamh Byrne, Meg Kendal, Emer O’Mahony, Claire Keohane, Molly Scuffil McCabe, Shirley Corcoran, Chloe Blackmore, Katie O’Dwyer, Siobhan McCarthy, Aoife McDermott, Claire Coombes, Emma Murphy, Emma Taylor. 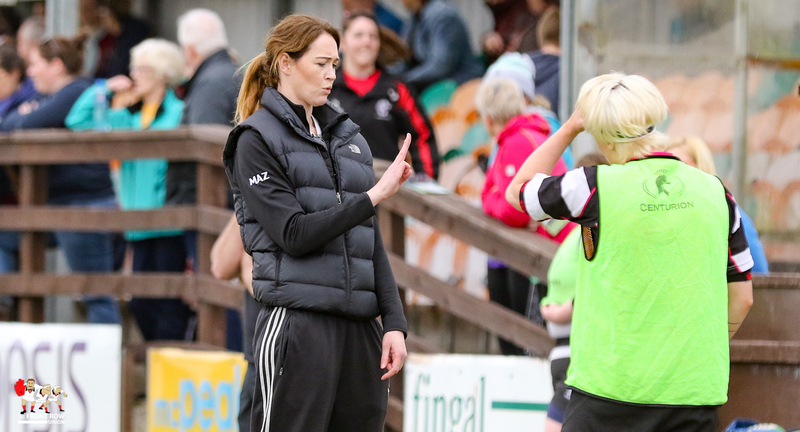 Replacements: Aimee Clarke, Lisa Callan, Sonia McDermott, Meaghan Kenny, Kateyln Faust, Alexandra Dunne, Erin Coll. 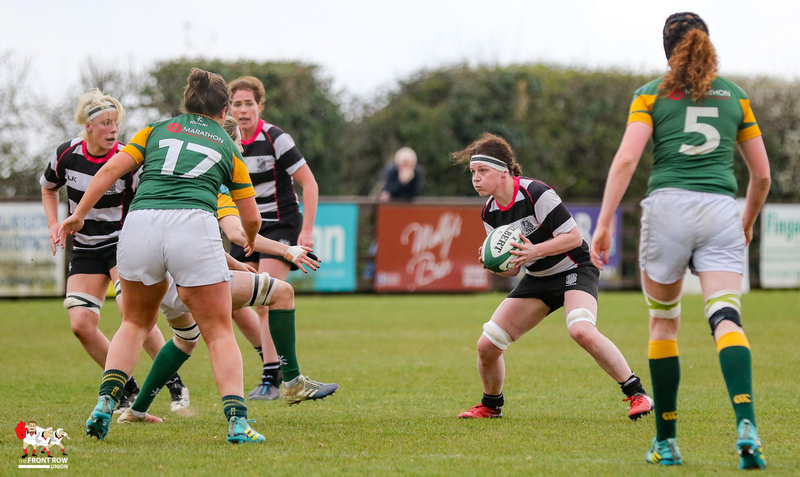 OLD BELVEDERE: Ellen Murphy, Grace Miller, Elise O’Byrne White, Aoibhe Dowling, Fiona Tuite, Nora Stapleton, Jemma Jackson, Jessica Spain, Victoria Dubanovich O’Mahony, Alice O’Dowd, Jan Carroll, Roisin O’Donnell, Lesley Ring, Niamh Ni Dhroma, Sharon Lynch. 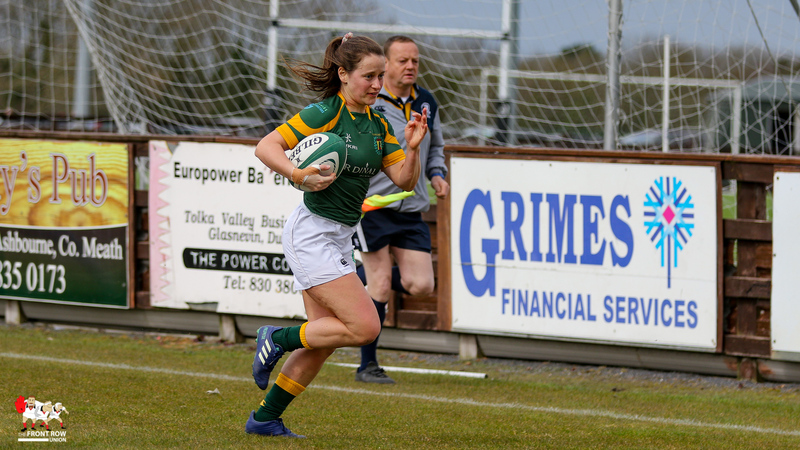 Replacements: Linda Djougang, Oonagh Hynes, Clodagh Dunne, Claire McLaughlin, Kathryn Dane, Senetina Fanene, Gemma Matthews.